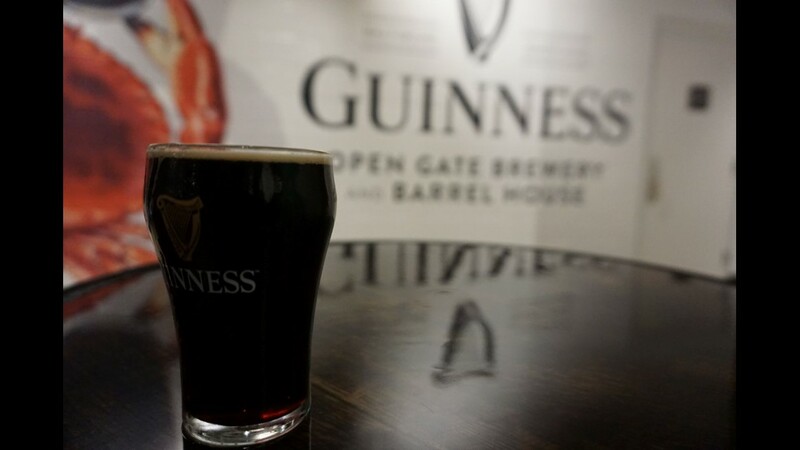 Prior to the opening of Guinness Open Gate Brewery, the beer maker operated a test taproom. 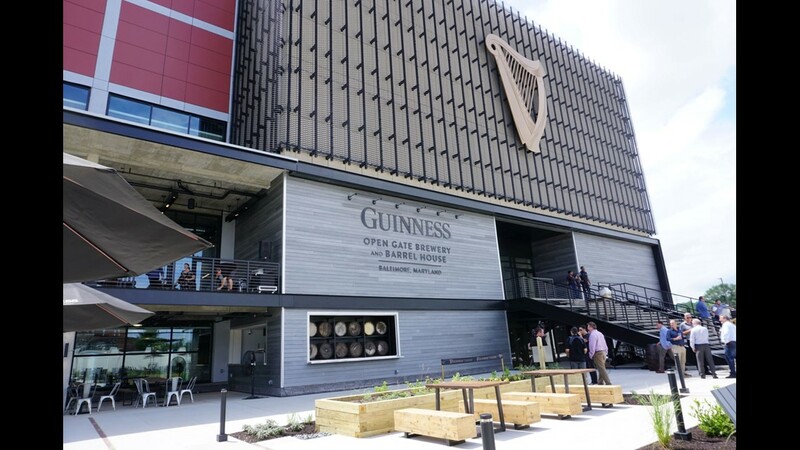 The Guinness Open Gate Brewery & Barrel House opened near Baltimore Aug. 3. 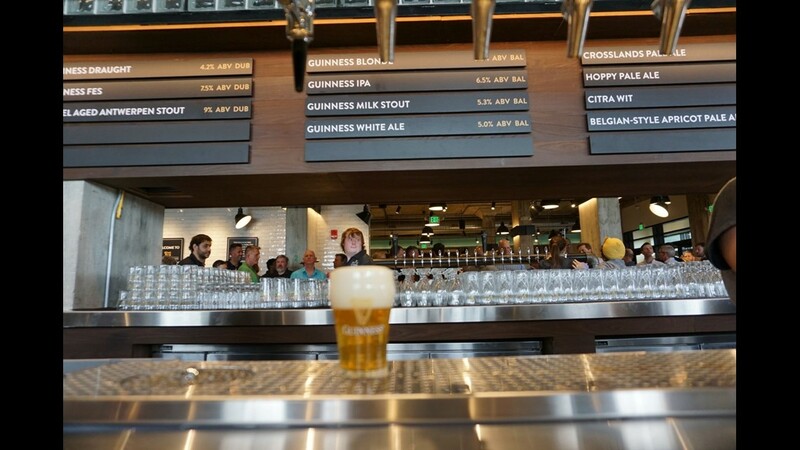 It’s the first new U.S. Guinness brewery in more than 60 years. A bartender pours the Maryland brewery’s flagship beer, Guinness Blonde American Lager. 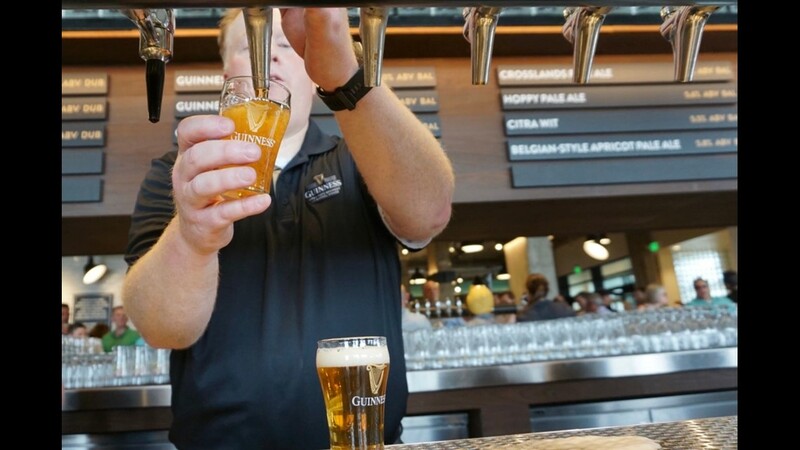 The Guinness taproom serves 16 types of beer, most of which are brewed at the facility. 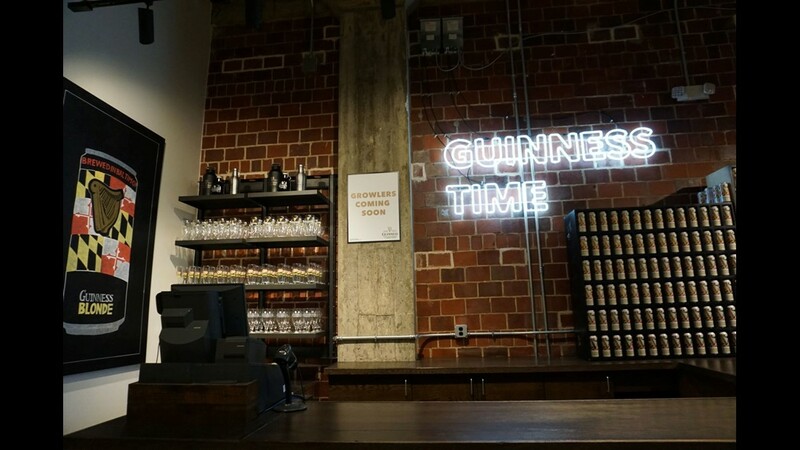 The Guinness taproom serves several of its signature stouts and the Crosslands Pale Ale, made with Maryland-grown malted barley and hops. 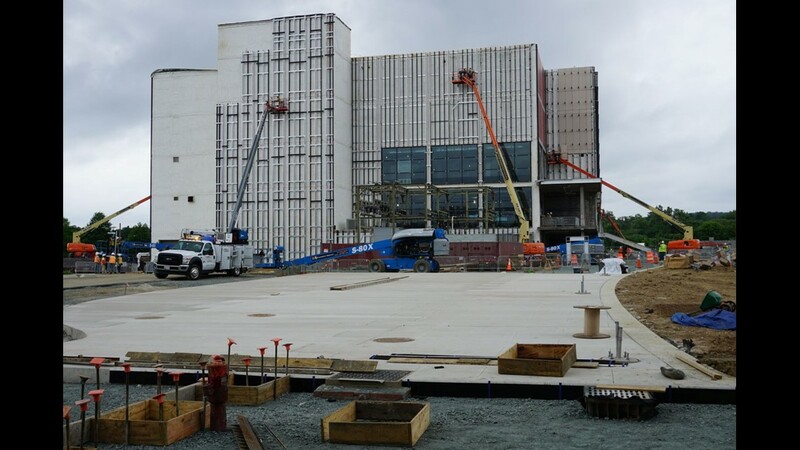 This is what the Guinness brewery looked like in late June 2018 when it was still under construction. 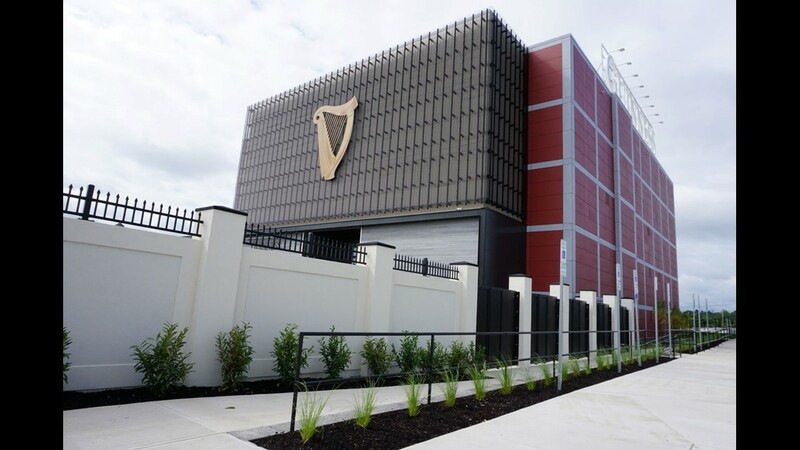 Guinness Open Gate features the brand’s signature harp symbol on the front. 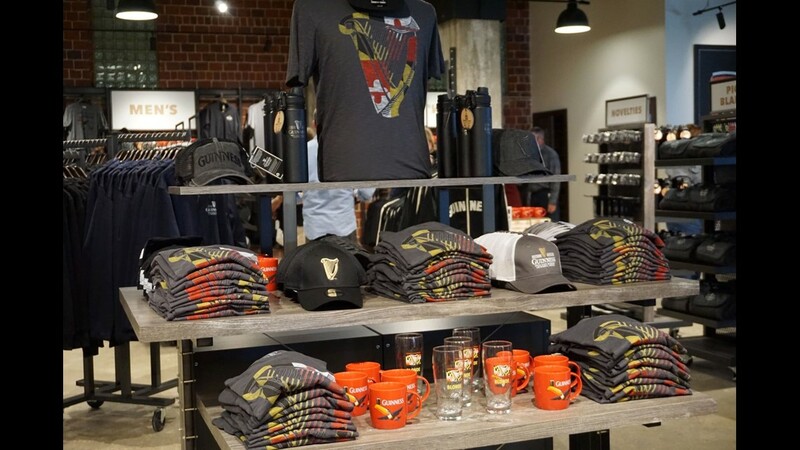 Guinness Open Gate contains a gift shop selling branded mugs, T-shirts, glasses and other merchandise. 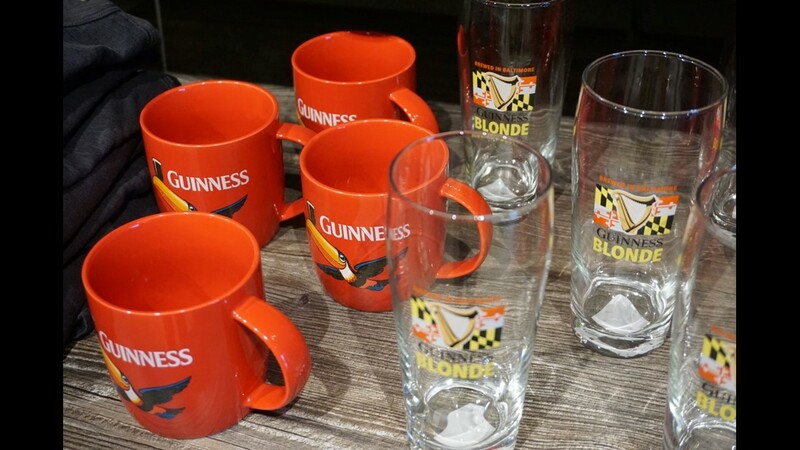 Mugs sold at the Guinness gift shop feature the toucan, used in a popular advertising campaign in the 1930s. 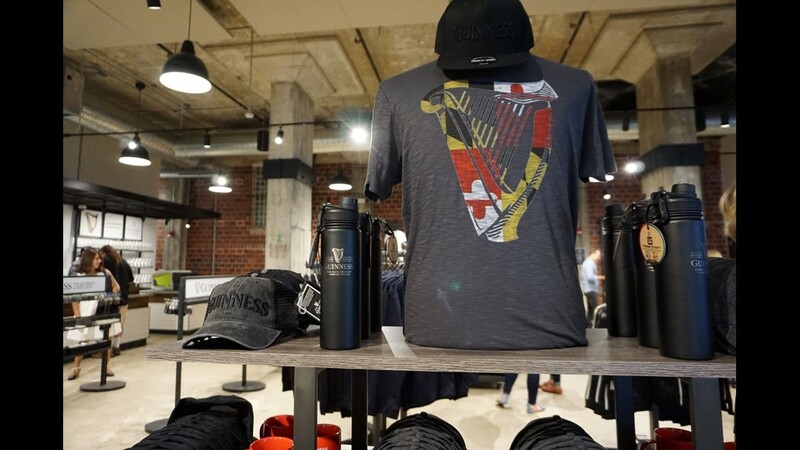 Guinness T-shirts carry the Guinness harp against a backdrop of the Maryland flag. 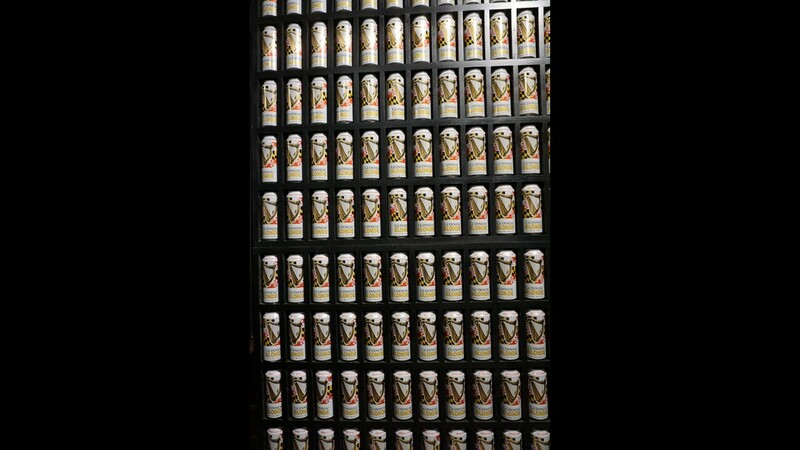 A wall near the entrance displays cans of the Guinness Blonde brewed in Maryland, which will be available nationally in September. 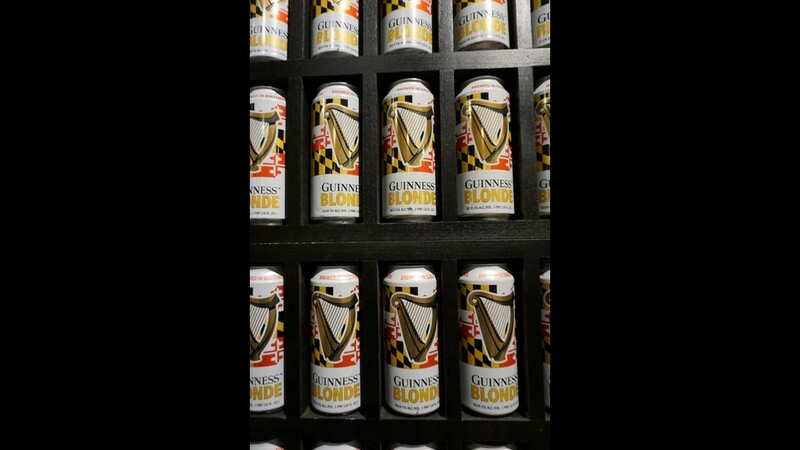 Cans of the Guinness Blonde feature the brand’s signature harp against an image of the Maryland flag. Guinness Open Gate Brewery won’t sell cases of beer. But soon beer lovers can fill up growlers at the growler station. 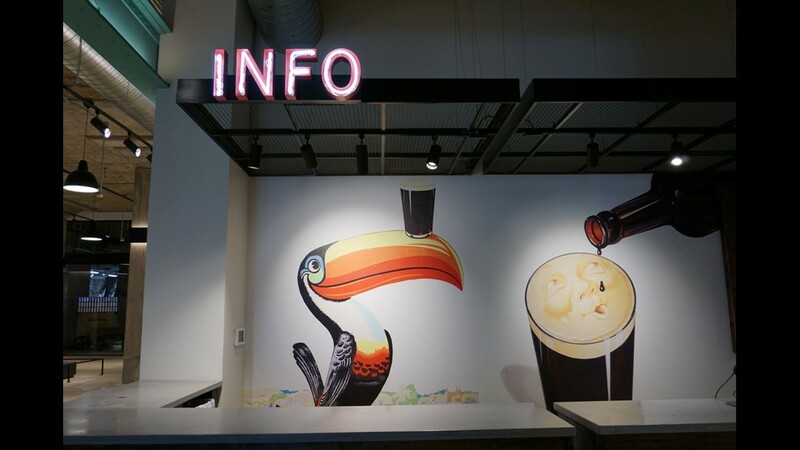 Many walls throughout the Guinness Open Gate Brewery feature a toucan, used in an advertising campaign in the 1930s to lift sagging sales. 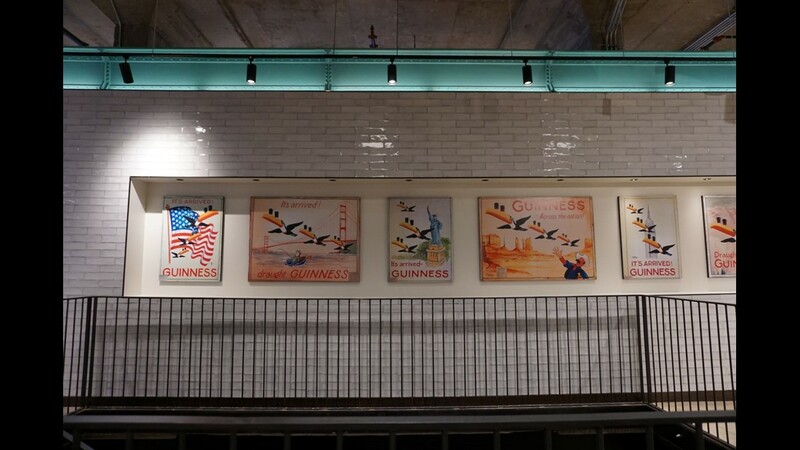 A wall in the Guinness Open Gate Brewery delves into the history of the toucan advertising campaign in the 1930s. 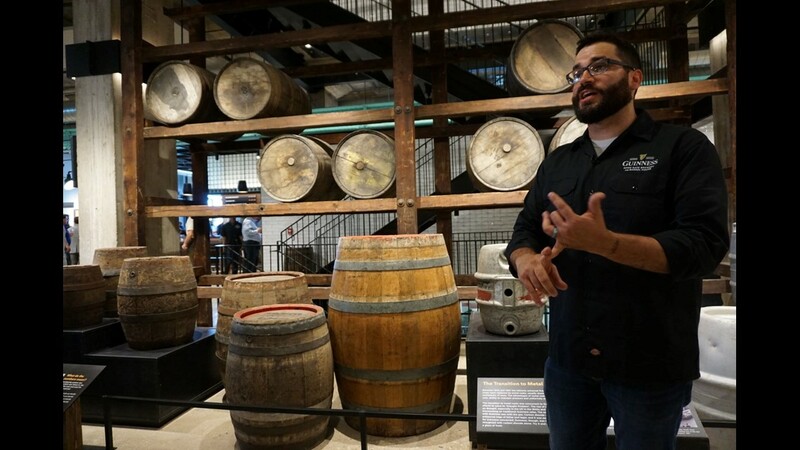 An exhibit on the first floor highlights Guinness’ history of aging its beer in wood barrels. 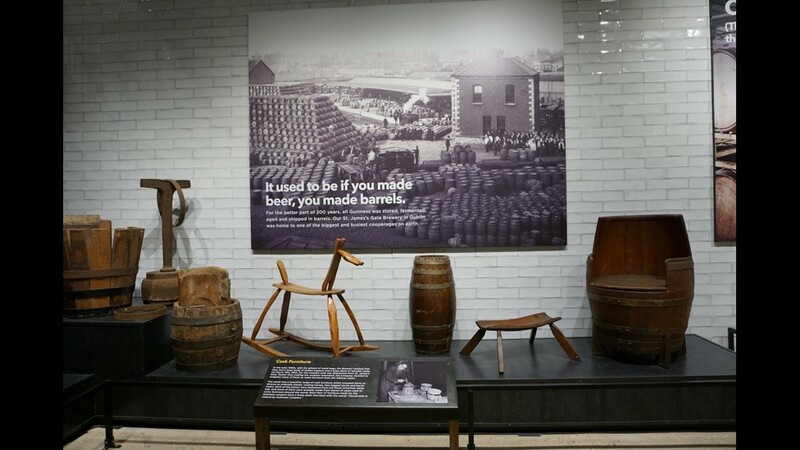 The barrel display includes wooden furniture made from leftover wood casks in 1963. 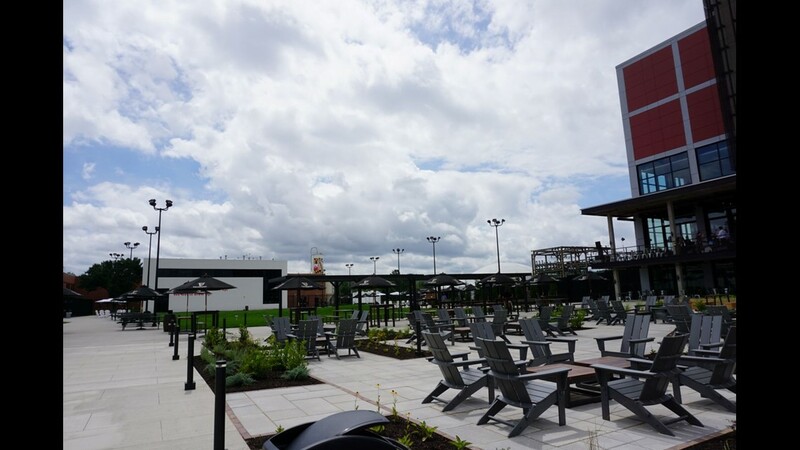 The Guinness Open Gate Brewery’s outdoor space contains Adirondack chairs and high-top and picnic tables covered in umbrellas where visitors can enjoy a glass on nice days. 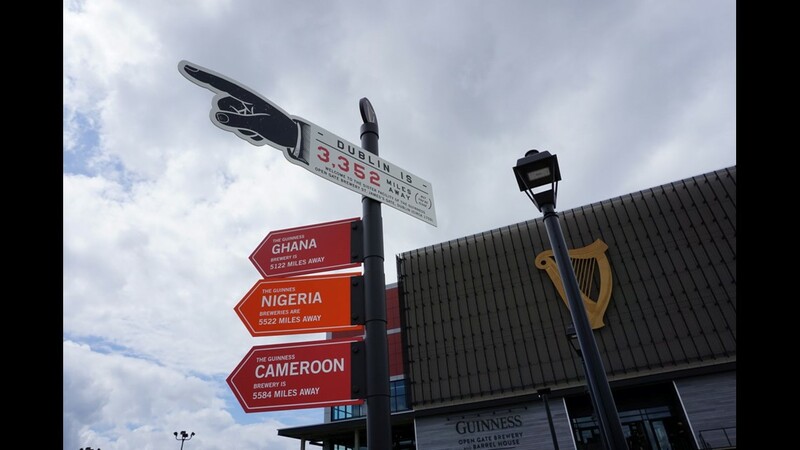 The Guinness Maryland campus displays signs pointing the way to Guinness breweries around the world, including its headquarters in Dublin. 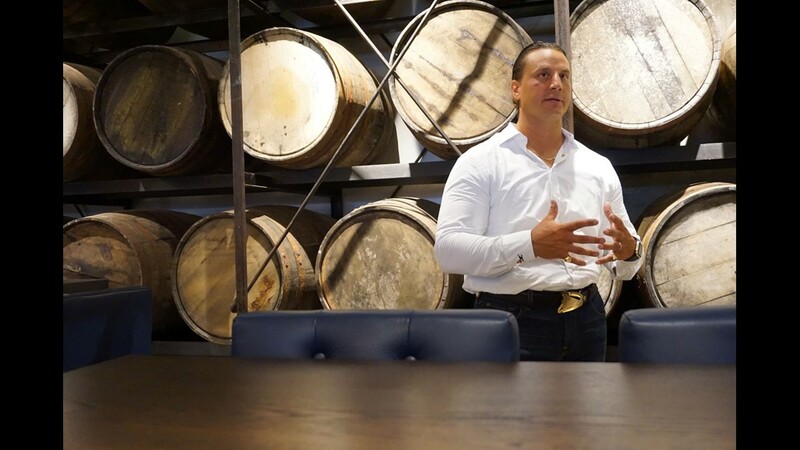 The signs at the Guinness Maryland property also point the way to Guinness’ only brewery in the U.S.
Guinness brand ambassador Ryan Wagner points to barrels from the original site, a historic whiskey distillery. 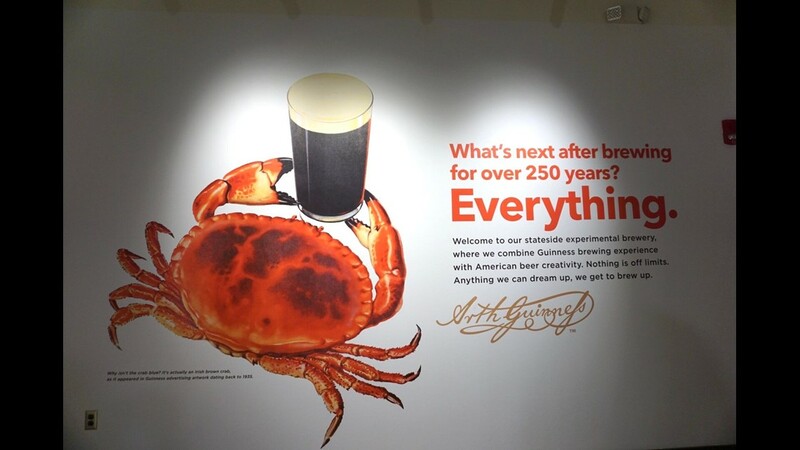 While Maryland is synonymous with crabs, the wall here depicts an Irish brown crab long used in Guinness advertising. 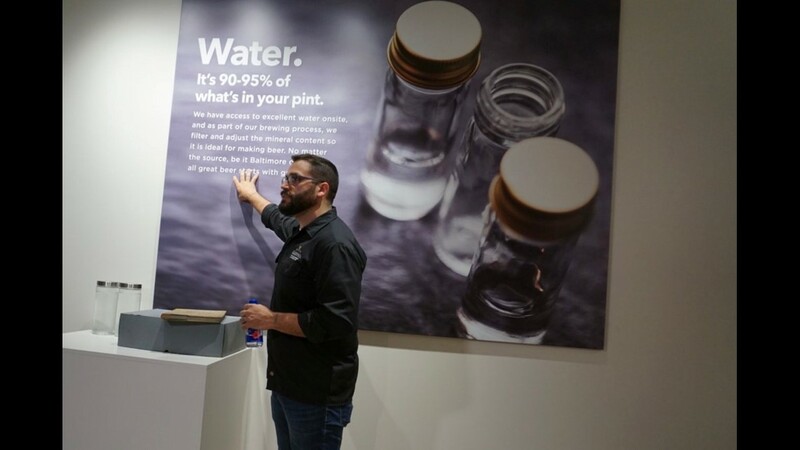 Guinness brand ambassador Ryan Wagner explains that Baltimore tap water is used in Guinness beer brewed in Maryland. 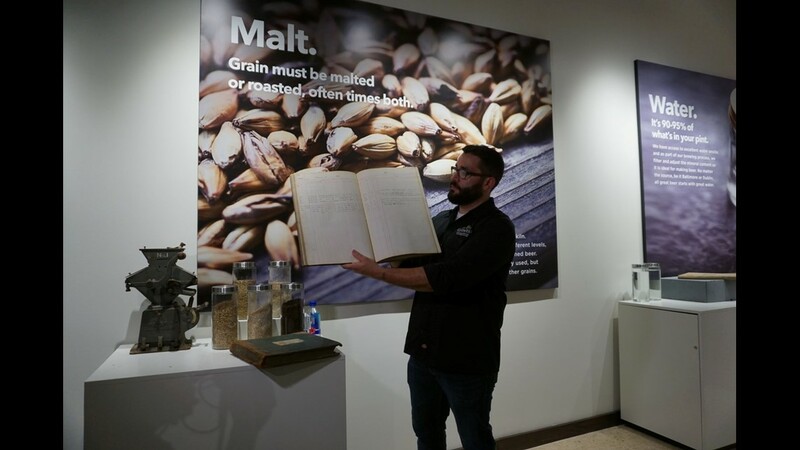 Guinness brand ambassador Ryan Wagner discusses malt, one of the four main ingredients in beer. Hops are one of the four main ingredients in beer, along with yeast, malt and water. 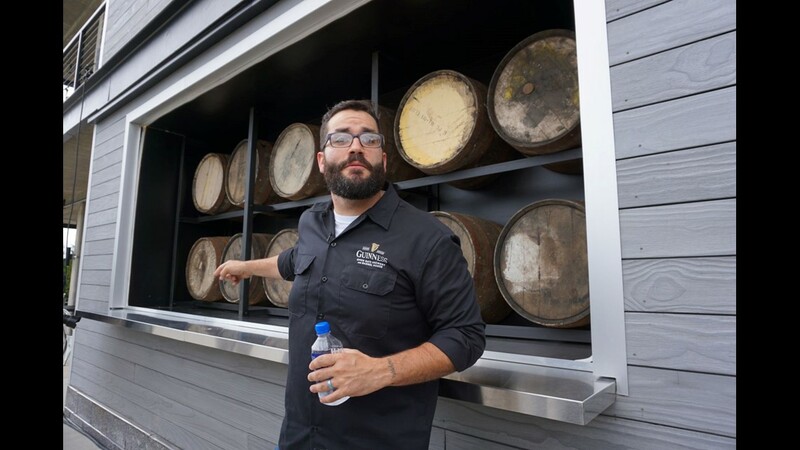 Guinness brand ambassador Ryan Wagner describes the brewing process in front of a 10-barrel brewing system that makes small-batch brews. 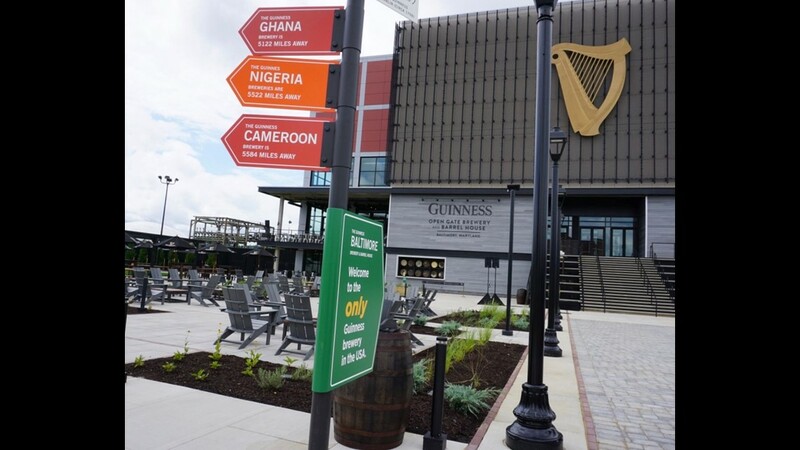 Guinness included “Barrel House” in the Maryland brewery’s official name to give a nod to the beer maker’s history of barrel-aging beer, which will continue in the facility. 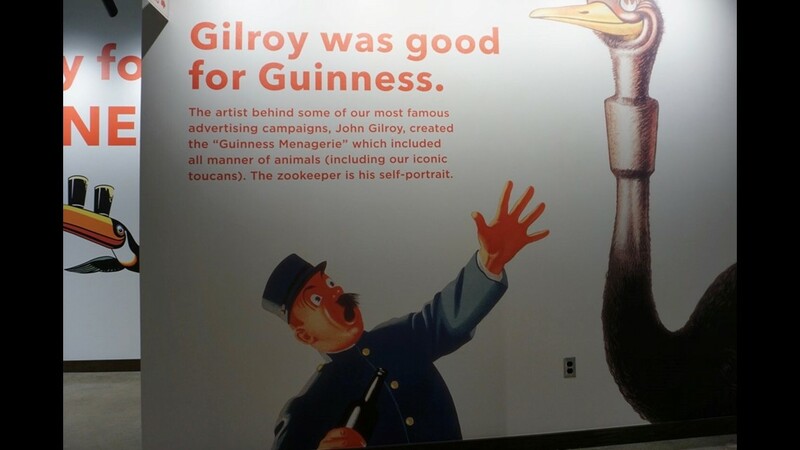 The second floor of the Guinness Open Gate Brewery displays ads from the 1930s that feature toucans. 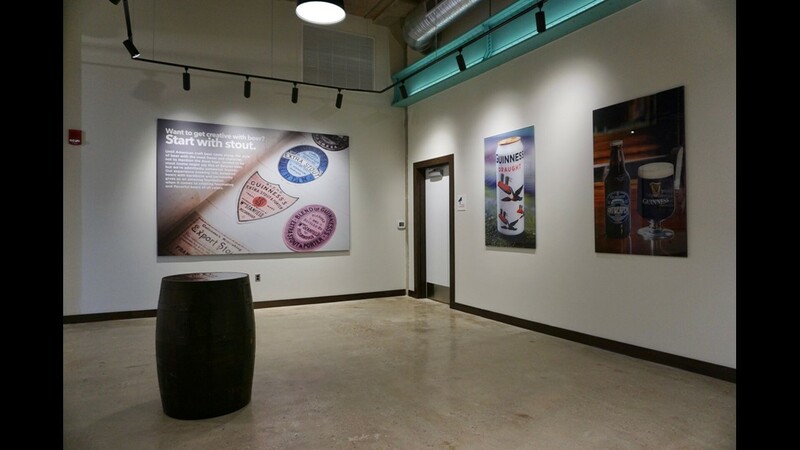 Exhibits at the Guinness Open Gate Brewery continue on the second floor and include photos of cans and bottles. The custom bar in the future restaurant, 1817, features brass and subway tiles. The Guinness Open Gate lawn can hold 4,000 and is crafted in the shape of a Guinness gravity glass. 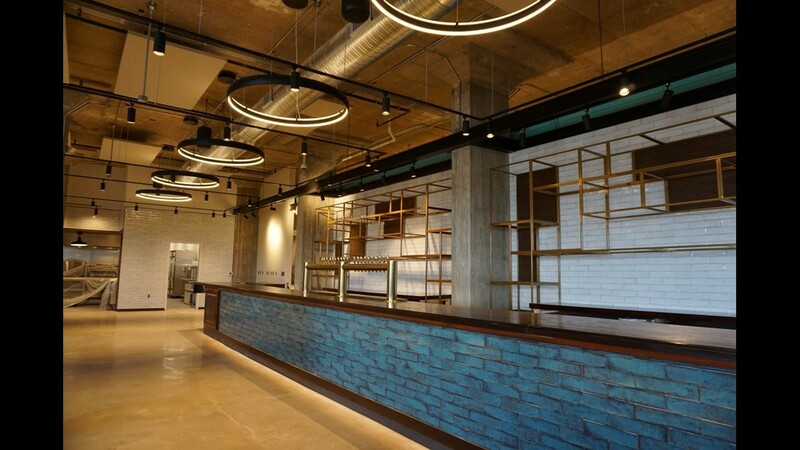 Tom Day, chairman of Diageo Beer Company USA, talks about the massive excitement surrounding the opening of the new Maryland brewery. 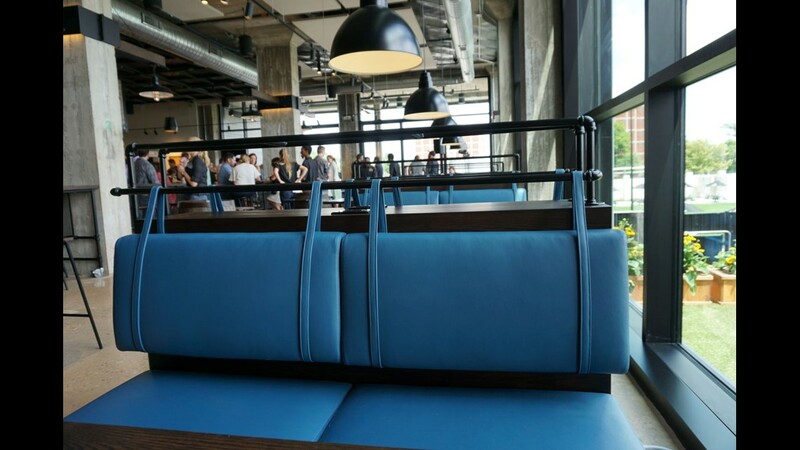 The Guinness taproom features booth seating and can hold up to 250. 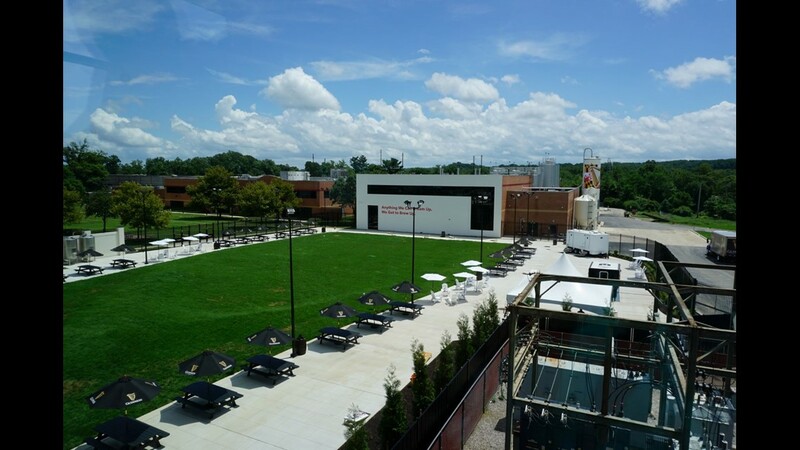 The Guinness outdoor space features an outdoor bar and will host concerts and other events. 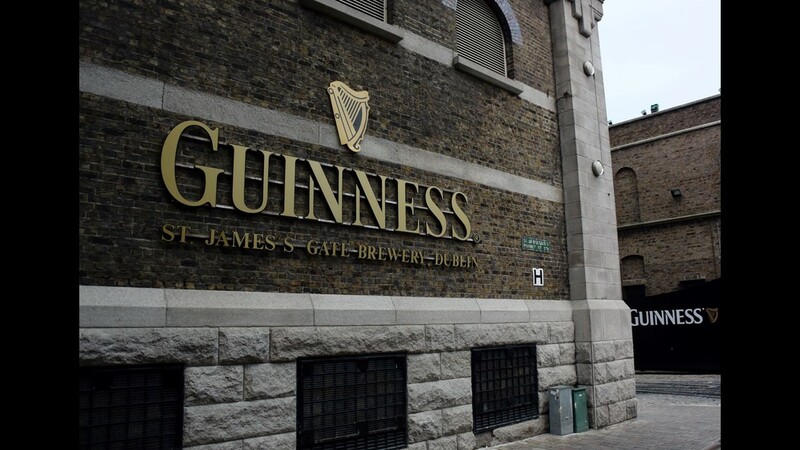 In Dublin, Ireland's St. James's Gate Brewery, Guinness Storehouse opened in 2000. It's open daily to visitors with exhibits, bars, cafes, restaurants, education and retail inside. A copy of Arthur Guinness' 9,000-year lease is embedded in the foundation at the entry of Guinness Storehouse. 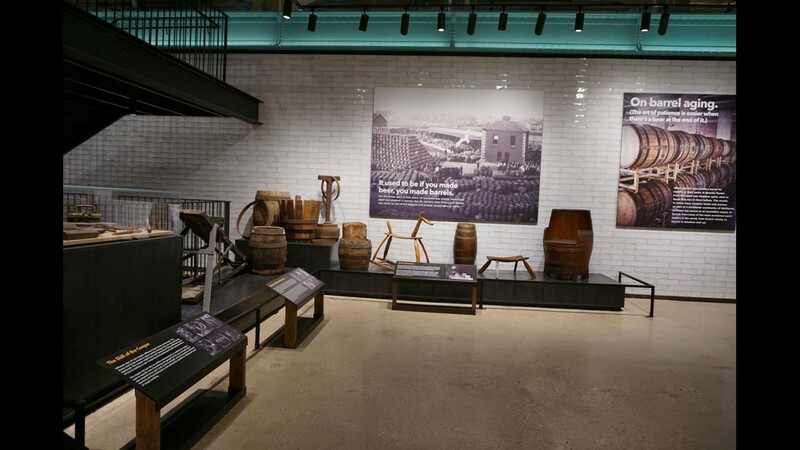 The Storehouse has seven levels of interactive experiences for visitors. Guinness stout is made with four ingredients: water (from the nearby Wicklow Mountains), barley (malted and roasted), hops and yeast. Original Guinness barrels are displayed. 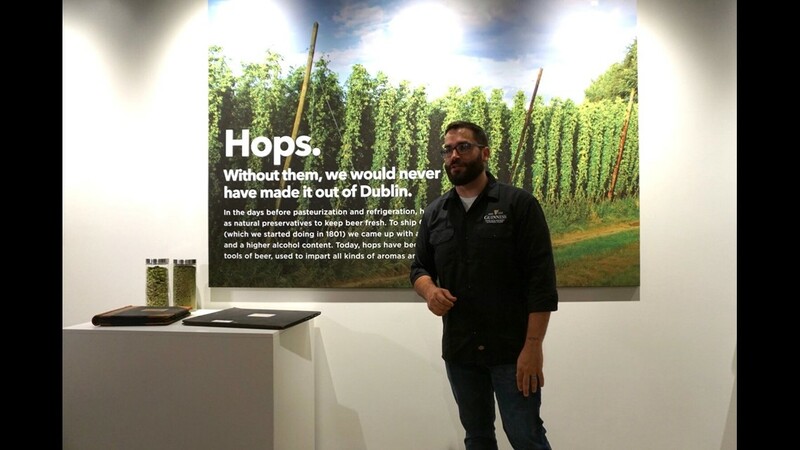 Guinness offers a "multi-sensory tasting experience" on the second floor of the storehouse. This includes vapors of the four ingredients to smell. Historic Guinness labels are on display. Grab a pint at the rooftop Gravity Bar inside Guinness Storehouse. 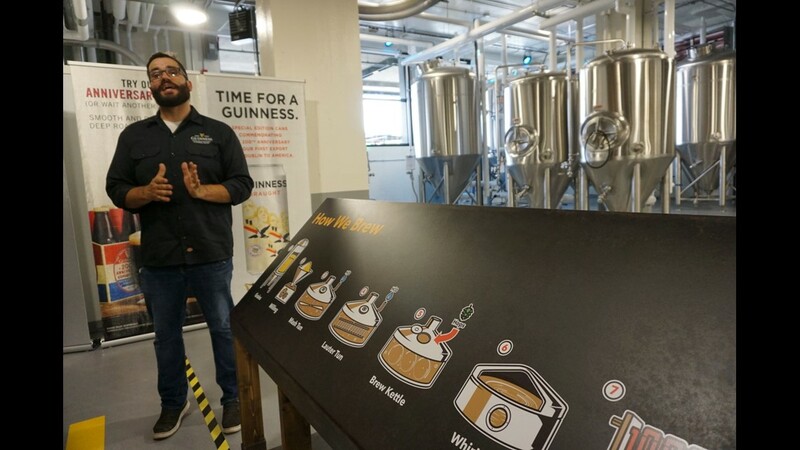 Adjacent to Guinness Storehouse, Open Gate Brewery is a working brewery in which new products will be developed and perfected, "almost like a playground for brewers," says Guinness beer ambassador Domhnall Marnell. 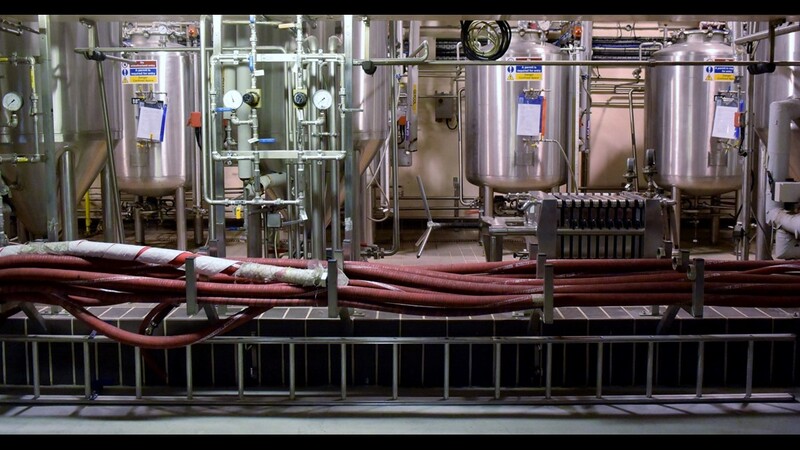 The experimental brewery has been in operation for more than a century. Guinness opened this portion to the public in 2015. The brewery and barrel house is open to the public on select days with advance booking. 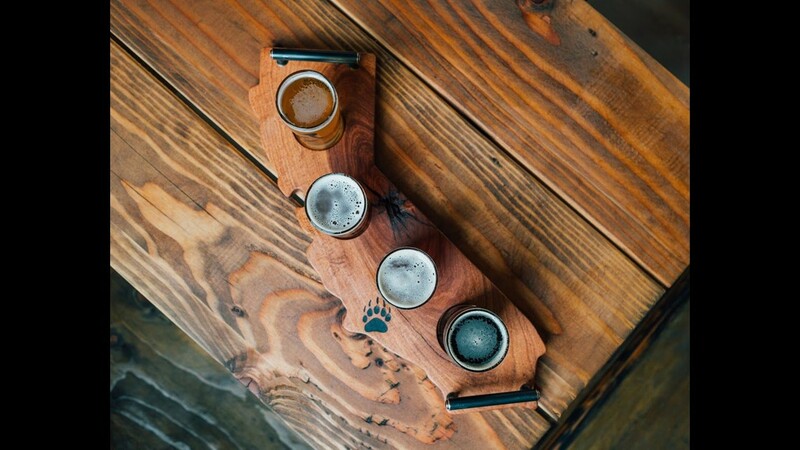 The entry fee includes a paddle of four beers exclusive to Open Gate Brewery. 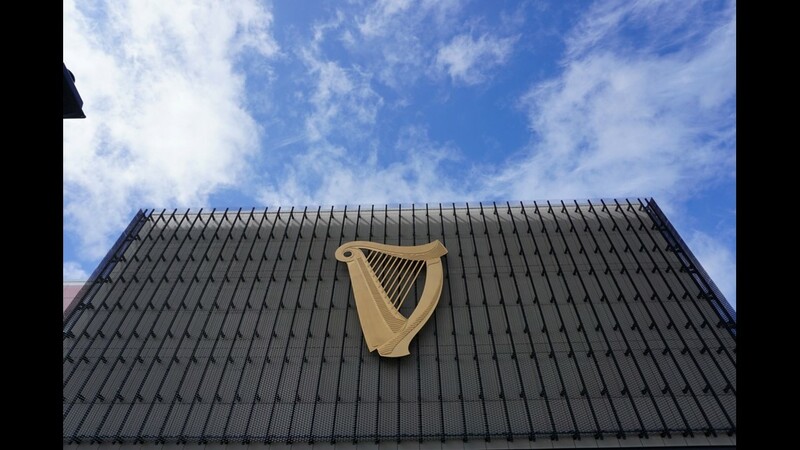 The Guinness logo is based on a 14th-century Irish harp, the O'Neill, which is found in the Long Hall within the Library of Trinity College Dublin. Guinness trademarked its harp in 1876. Guinness' first advertisement in 1929 touted its health benefits with the slogan, "Guinness is Good For You." It was believed that the yeast settlement at the bottom of the bottle would boost iron levels in blood. The Guinness family crest depicts a boar and can be seen in floor tiles throughout St. Patrick's Cathedral in Dublin. 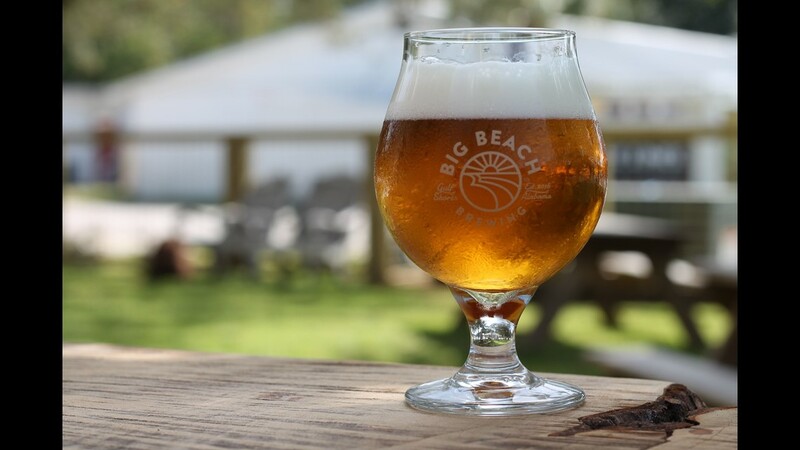 Big Beach Brewing Company is Alabama's southernmost brewery in Gulf Shores. Try place-themed brews like Catman Kolsch, Dixie's Heart Irish Red Ale and Small Town Brown Ale in the open-air taproom, open daily. 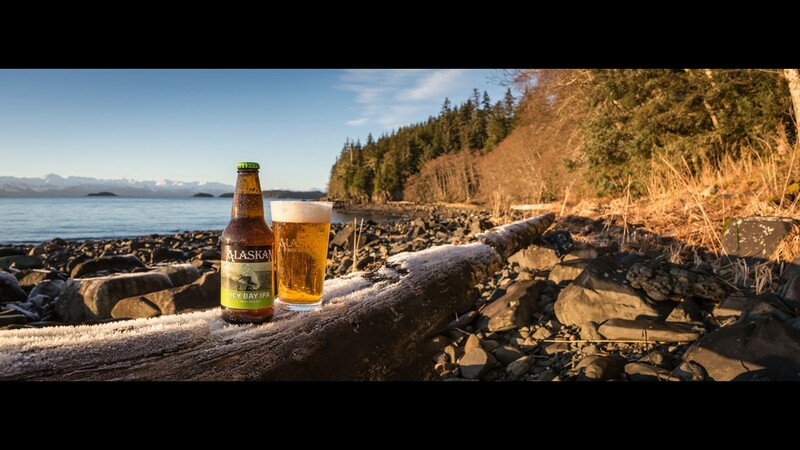 Alaskan Brewing Co. uses glacier-fed water from the Juneau Icefield. 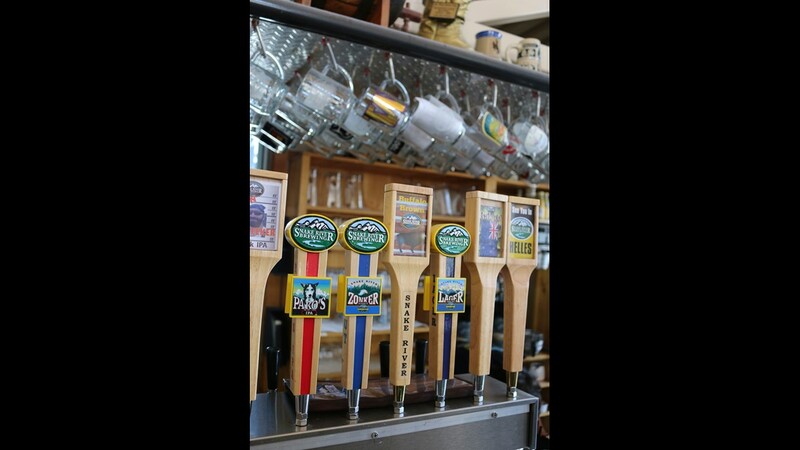 Try Icy Bay IPA, Big Mountain Pale Ale or Husky IPA in the tasting room, open daily in Juneau with seasonal hours. In Scottsdale, Ariz., Craft64 serves 30 Arizona craft beers on tap, including a handful of house brews, plus more than 50 bottles. Pair with wood-fired pizza and a full food menu. 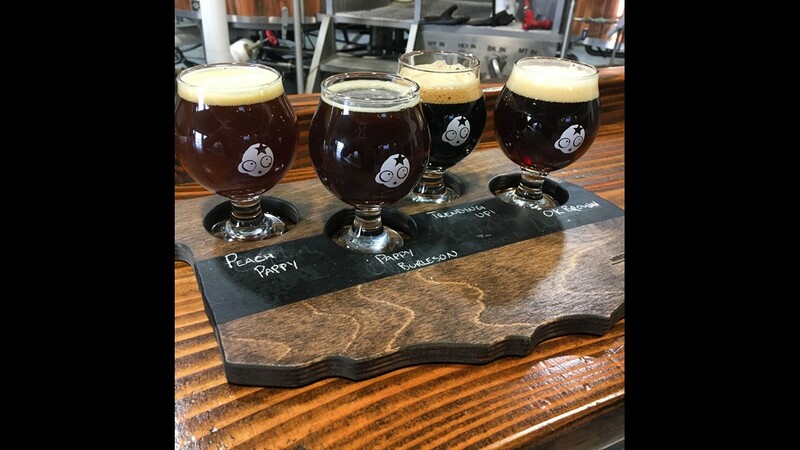 Arkansas' Stone's Throw Brewing sources honey, coffee, cacao nibs, specialty grains and a yeast strain locally, and features ceramic, state-shaped tap handles made by a local artist. 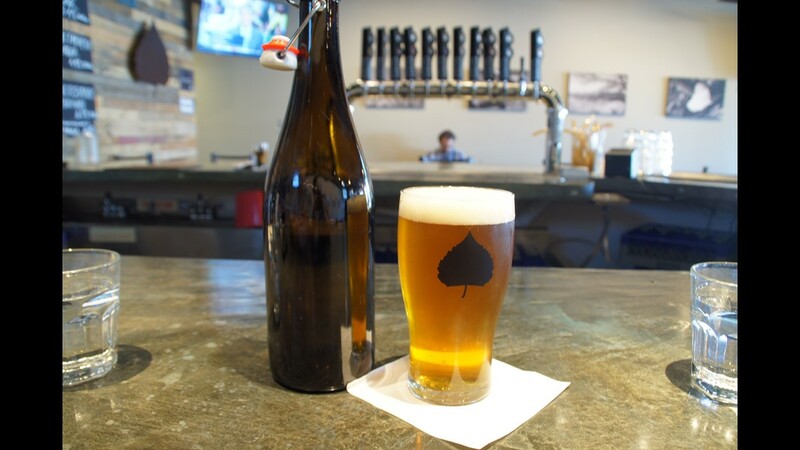 The taproom is open Tuesday to Sunday in Little Rock’s MacArthur Park Historic District. California's Brass Bear Brewing uses local mint and ginger in its Holiday Heff. 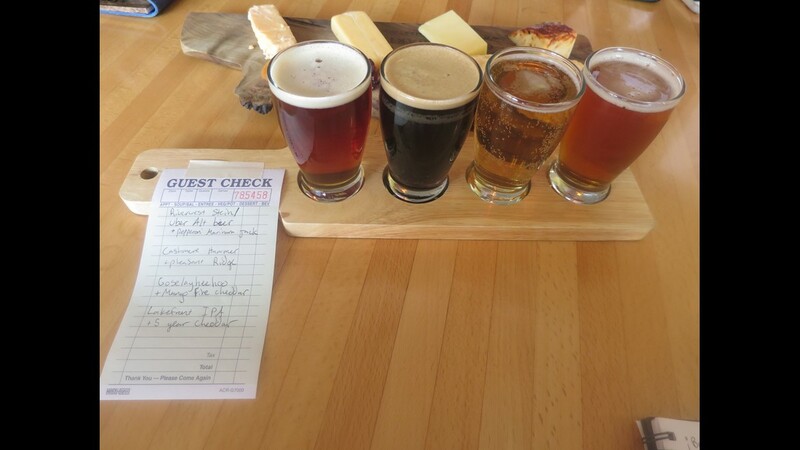 Grab a state-shaped tasting flight in Santa Barbara's Funk Zone, Wednesday to Monday. 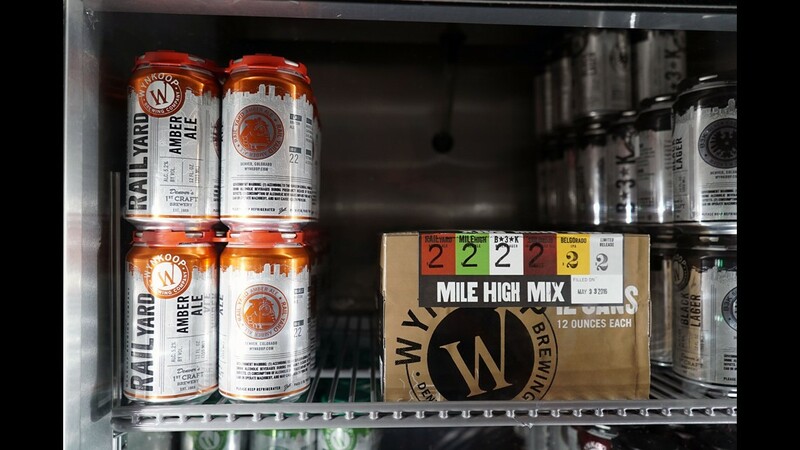 Colorado's Wynkoop is a brewery and kitchen open daily in Denver, where tours are offered Tuesday through Saturday. 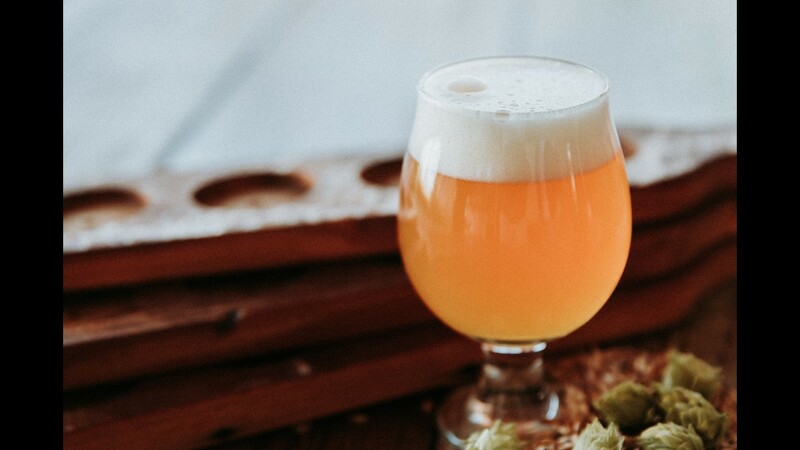 Try the Mile High Mix of fan favorites, including Belgorado IPA made with barley grown in the state's San Luis Valley and hops handpicked at Misty Mountain Hop Farm in Olathe, Colo.
Connecticut's Two Roads Brewing Company experiments with all kinds of ingredients in Stratford. Of the many, Urban Funk Wild Ale was made with wild yeasts captured in the state by Sacred Heart University. It's only available at the brewery -- tasting room open daily, tours offered Friday to Sunday. 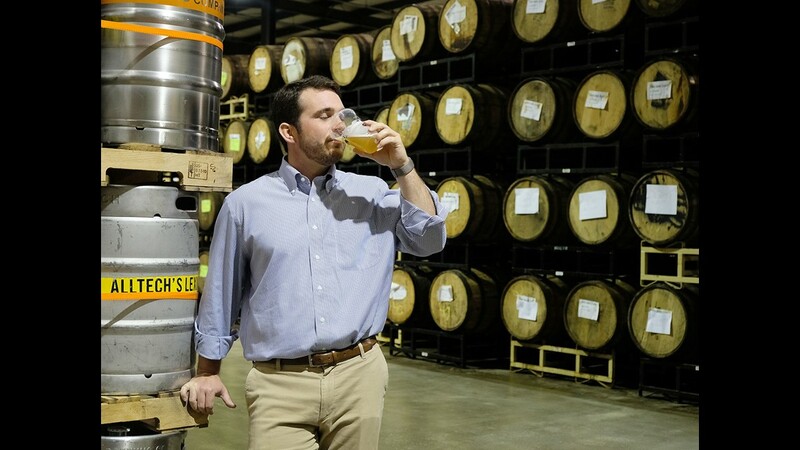 Delaware's Dewey Beer Co. uses grain from Proximity Malt in Laurel, Del. Visit the brewery and kitchen for lunch, dinner or happy hour daily in Dewey Beach. 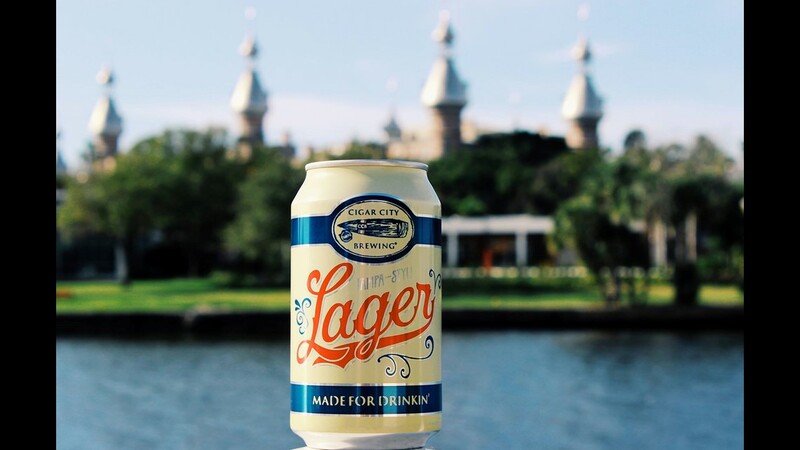 The Sunshine State's Cigar City Brewing makes a Tampa-style Lager and an ale called Florida Cracker (brewed with orange peel). Try experimental brewery exclusives at the Tampa, Fla. tasting room, open daily with tours Wednesday to Sunday. Georgia's Pretoria Fields Collective is a group of farmers and brewers growing more than 200 acres of organic barley, fruit, hops and wheat in Albany. The state's only farmhouse brewery makes four beers with 20-60% of grains grown onsite so far, available to taste Thursday to Sunday. Hawaii's Big Island Brewhaus grows hops onsite and uses local coffee, cacao, honey and sea salt in various beers. 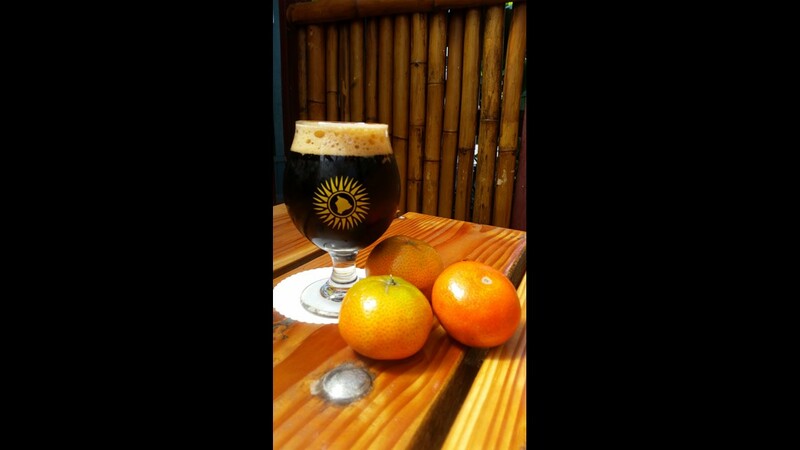 Try the Tall Dark and Mandarin (pictured) made with locally grown mandarin oranges and cacao, at Hawaii’s highest brewpub (2,764 feet above sea level) in Waimea. 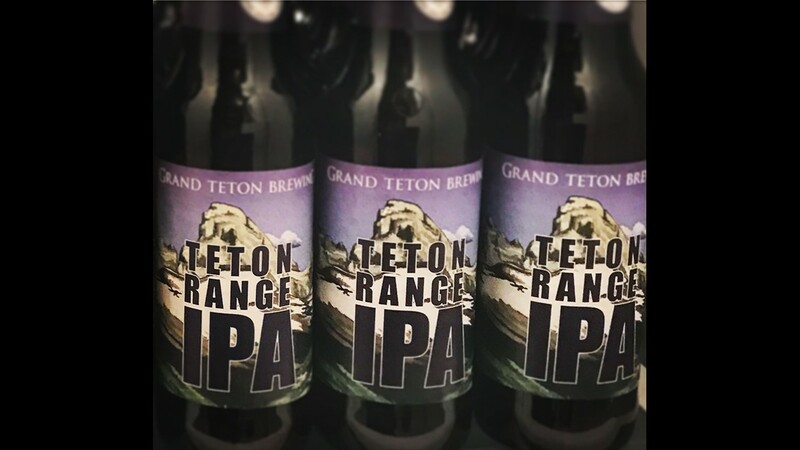 Grand Teton Brewing Company uses glacial run-off water, Idaho-grown and malted barley, and a variety of Idaho hops in its Teton Range IPA. The pub is open daily and tours are offered Monday to Thursday in Victor, Idaho. 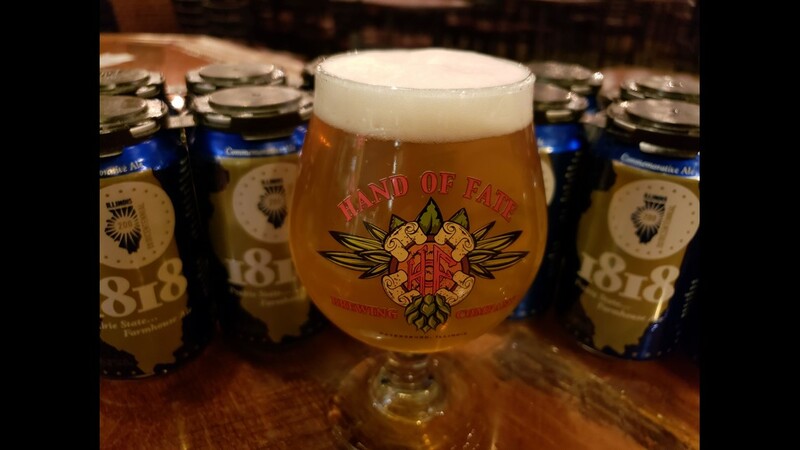 Illinois' Hand of Fate Brewing Company makes 1818 Prairie State Farmhouse Ale with Illinois-grown ingredients for the state's bicentennial. 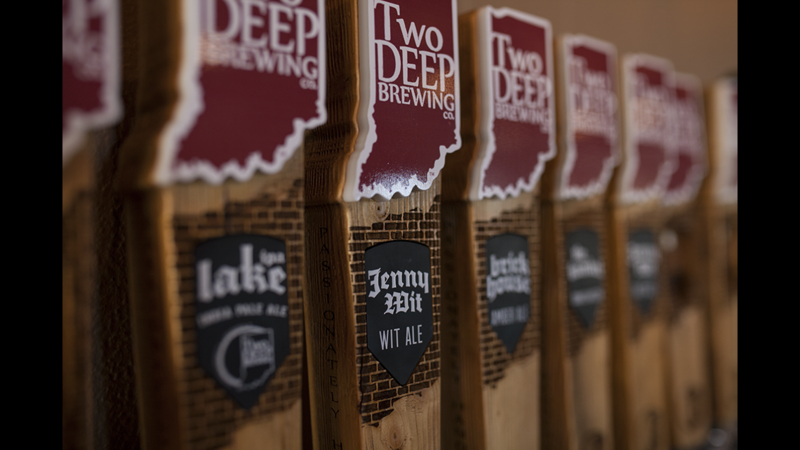 It's available all year, and the brewery's tap room is open Wednesday to Sunday in Petersburg, Ill.
Indiana's TwoDEEP Brewing Co. uses local hops from hops from Hoosier Hops Farm and Eisele’s Raw Honey in some of its beers. The TapRoom is open daily in Indianapolis. 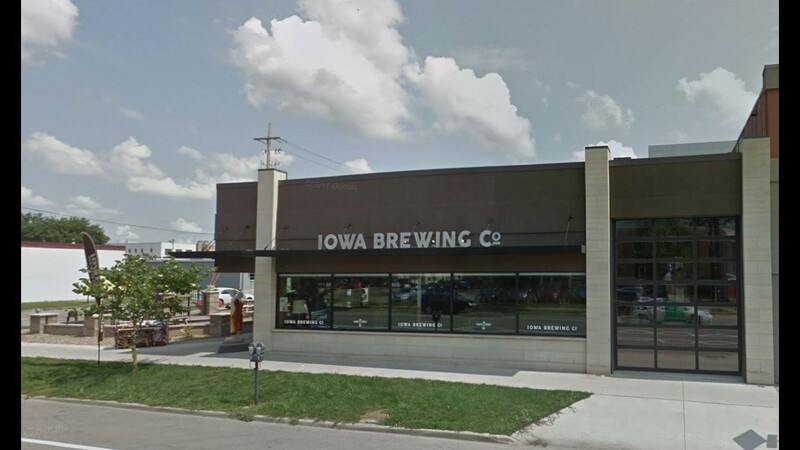 Iowa Brewing Co. named Iowa Eagle Lager after the historic Eagle Brewery. The Cedar Rapids taproom is open daily with outdoor seating. 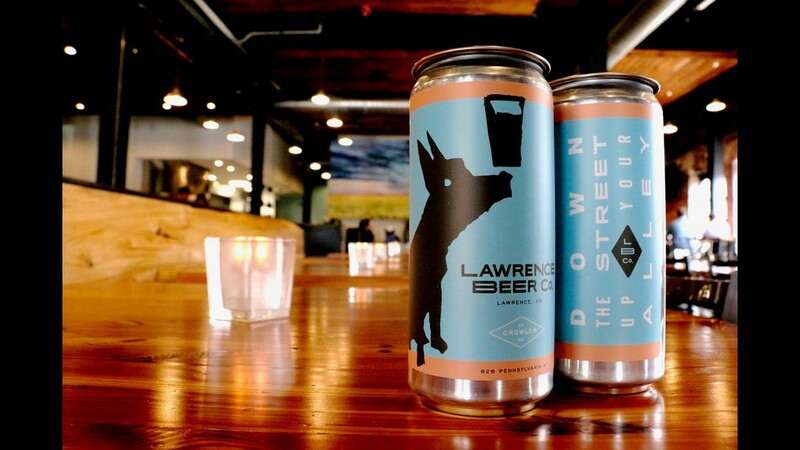 Kansas' Lawrence Beer Co. collaborates with local Repetition Coffee on its Cahoots stout and local soccer team Kaw Valley FC on the Kaw Valley Kolsch. 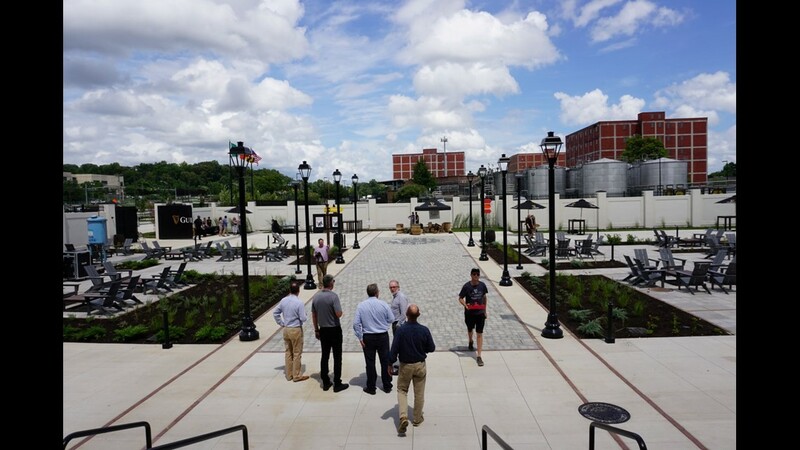 The kitchen and patio are open daily in Lawrence, Kan.
Kentucky's Alltech Lexington Brewing & Distilling Co. ages its Kentucky Bourbon Barrel Ale in decanted bourbon barrels from local distilleries, an ode to the state's famous industry. Alltech's Lexington visitor center is open daily with tours offered daily. 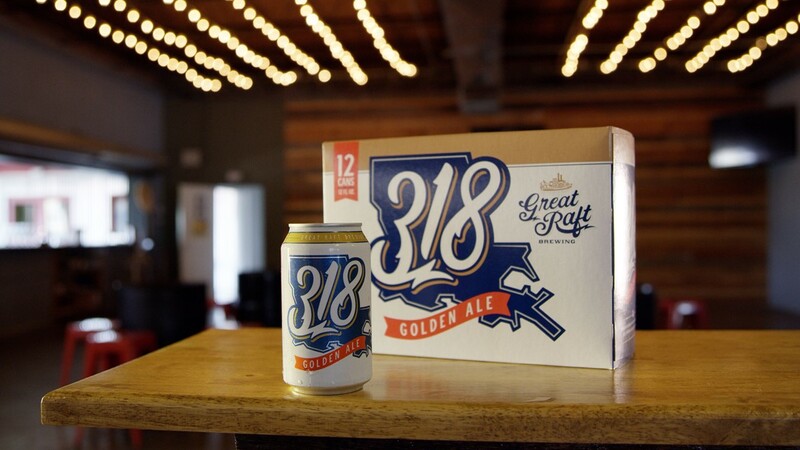 Louisiana's Great Raft Brewing makes 318 Golden Ale with Hummer and Son Honey from Bossier City, La., and Southern Drawl dry-hopped pilsner with rice from Crowley, La. The tasting room is open Wednesday to Saturday in Shreveport, La. 's Historic Fairfield District, with tours offered on Saturdays. 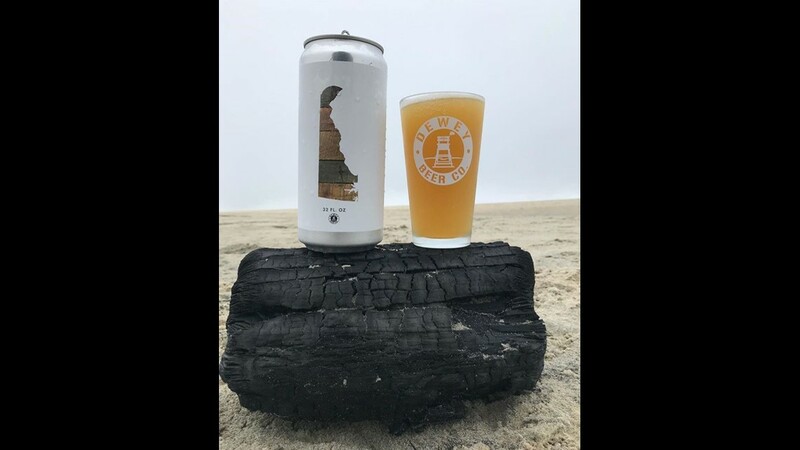 Foundation Brewing Company makes its Maine IPA, called Venture, with barley, oats and wheat grown in state. The Portland, Maine tasting room is open Wednesday to Monday with food trucks on weekends, and a seasonal family and dog-friendly patio. In Maryland's Balt County, B.C. Brewery debuts its 5,000-square-foot taproom (with a self-serve tap wall) in Hunt Valley on April 14. Go for the PawPaw Wheat, made with PawPaw fruit from Deep Run PawPaw Orchard in Westminster, Md. 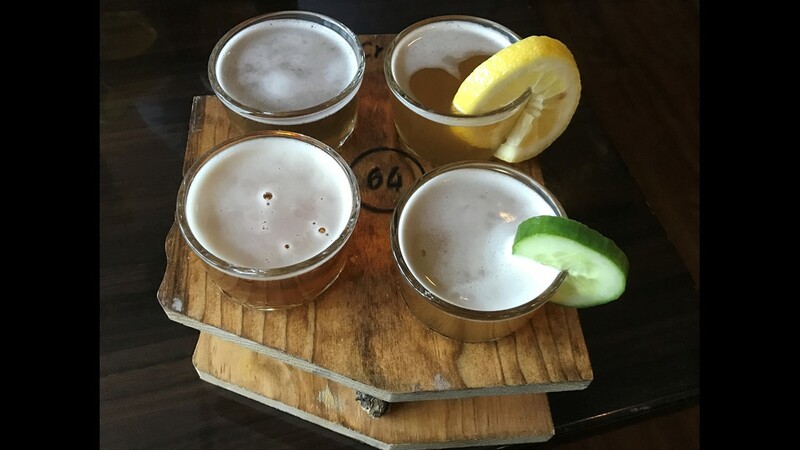 In Massachusetts, Lefty's Brewing Company serves tasting flights on cedar boards made locally by Gill Country Clear Wood Works. 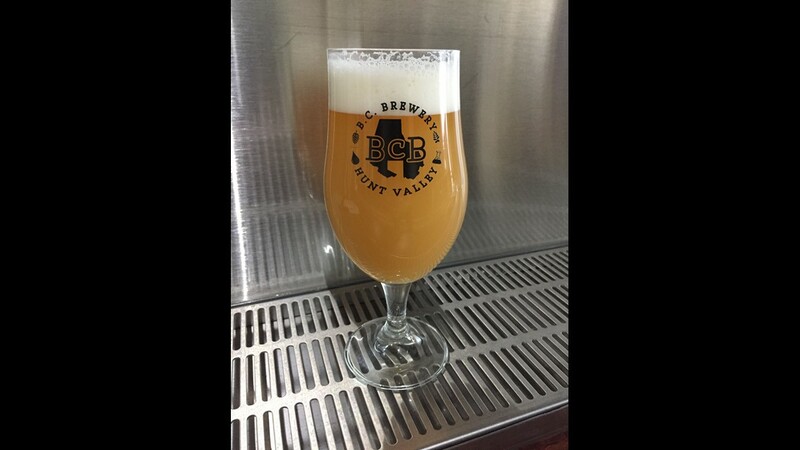 Try Valley Rye with local hops from Four Star Farms in Northfield, Mass., and local grains from Valley Malt in Hadley, Mass., at the Greenfield tap room open Wednesday to Sunday. 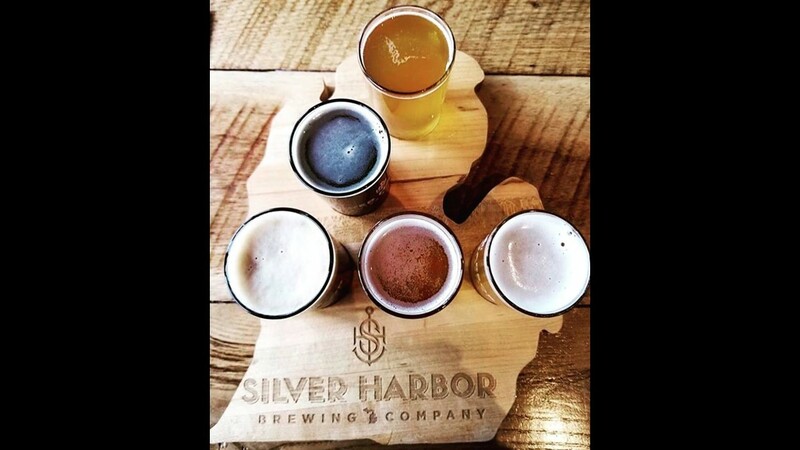 Michigan's Silver Harbor Brewing Company is known for its Kumbaya Brown Ale, served with hickory smoke, and makes its Sunrise Breakfast Stout with local Ferris Coffee Kona Coffee. 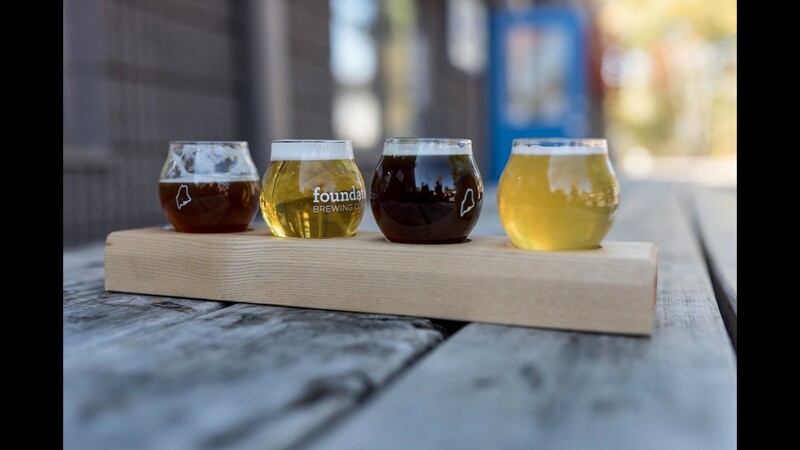 Try a Michigan-shaped tasting flight at the brewery and soon-to-open beer garden in Saint Joseph, Mich.
Minnesota's Schell's uses barley grown nearby in its German pale lager, Fort Road Helles. The New Ulm, Minn., brewery offers tours and a Museum of Brewing, Friday to Sunday. 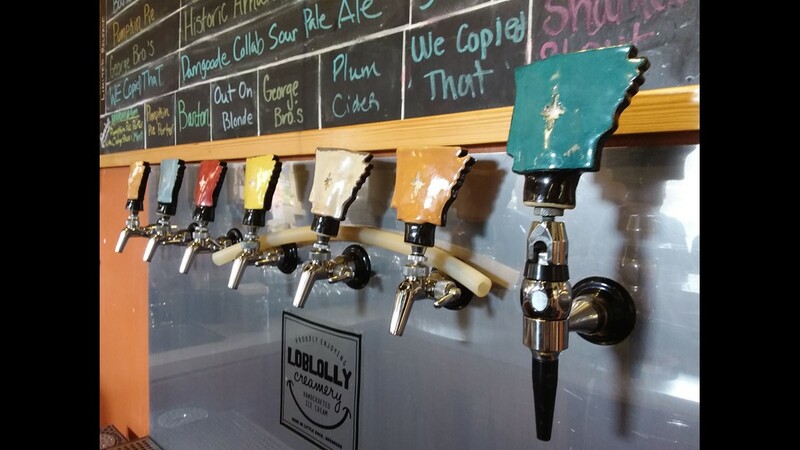 Mississippi Ale House features Mississippi beers (1817, Chandeleur, Mighty Miss, Slowboat and more) on 14 taps in Olive Branch, Miss., open Tuesday to Sunday. The bar will host the first Mississippi Ale House Brew Fest on Saturday, April 7. Missouri's Piney River Brewing Co. makes its Black Walnut Wheat with wild, hand-harvested black walnuts that are native to the Ozarks. Visit the 75-year old barn taproom in Bucyrus, Mo., Friday to Sunday. 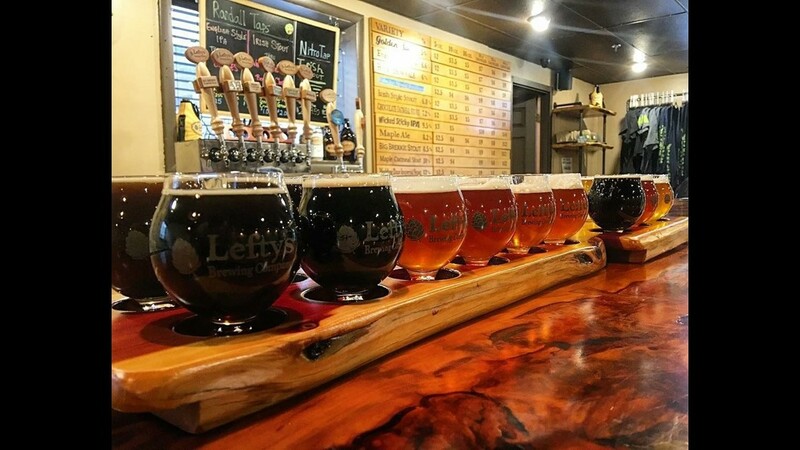 Montana's Jeremiah Johnson Brewing Company (formerly The Front Brewing Co.) uses World Class Pale 2-Row Barley Malt from Great Falls and locally harvested honey from Smoot Honey Company in Power, Mont. Visit the bar in Great Falls. 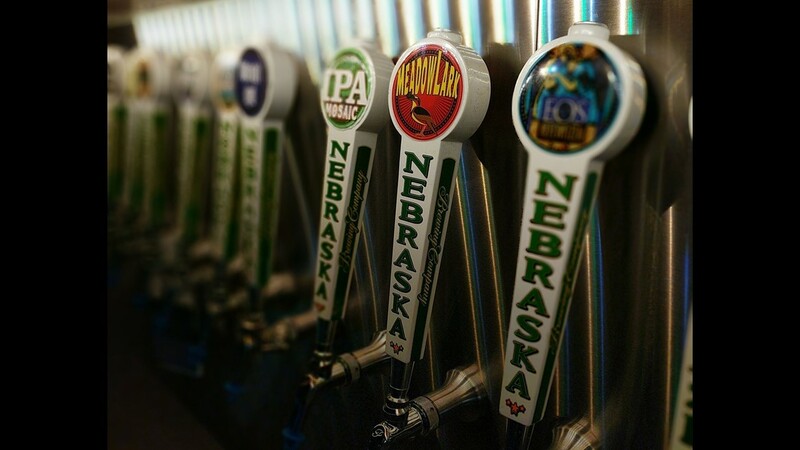 Nebraska Brewing Company makes Meadowlark pale ale with 100% Nebraska-grown hops. The brewery and taproom are open Tuesday to Sunday in La Vista, Neb., with tours on Thursdays and Saturdays. There's a brewpub open daily in Papillion, Neb. 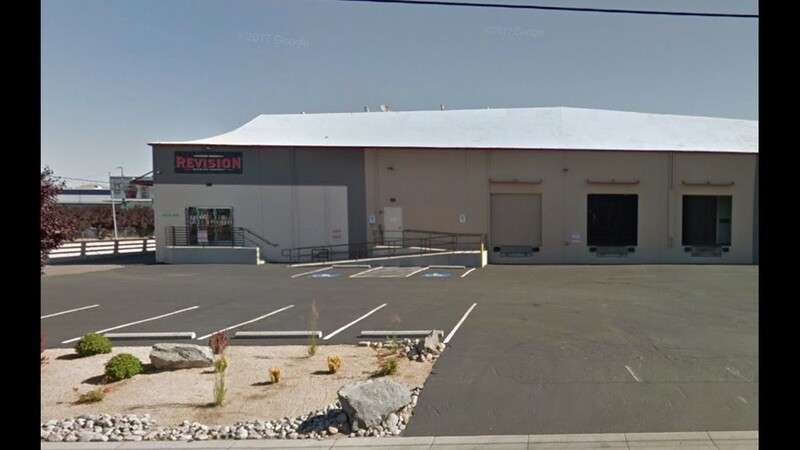 Nevada's Revision Brewing Company makes Blonde NV ale and Reno As (expletive) IPA in Sparks. 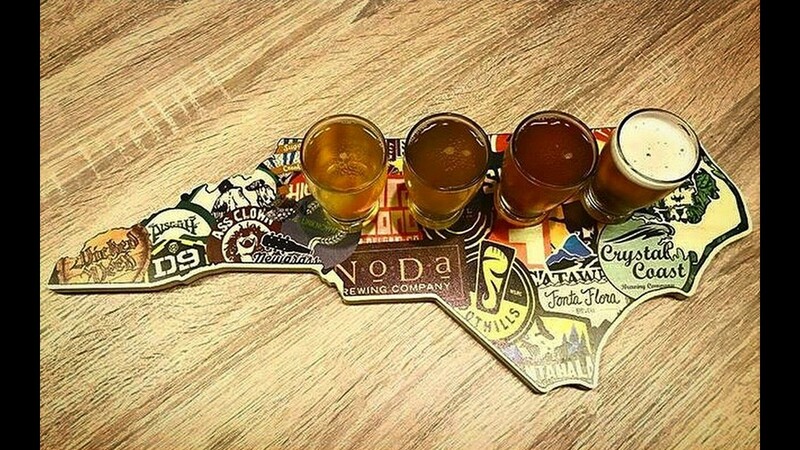 The taproom is open daily with tasting flights available. 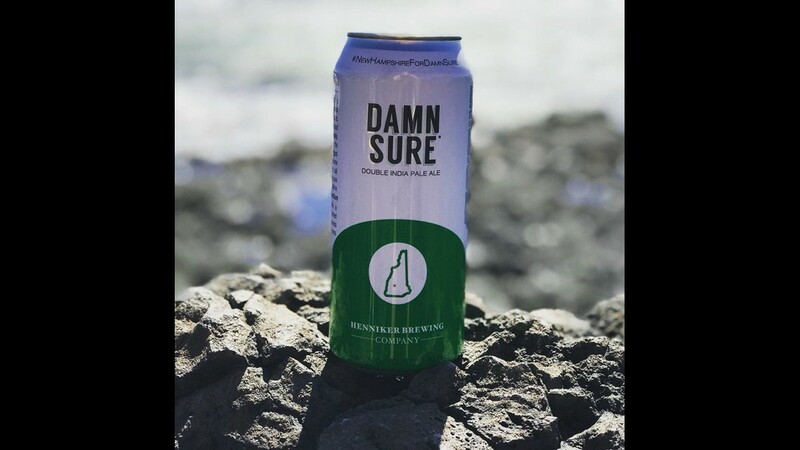 Henniker Brewing Co.'s Damn Sure Double IPA is only available in New Hampshire. The dog-friendly Henniker, N.H., taproom is open Tuesday to Saturday with three tours available on Saturdays. 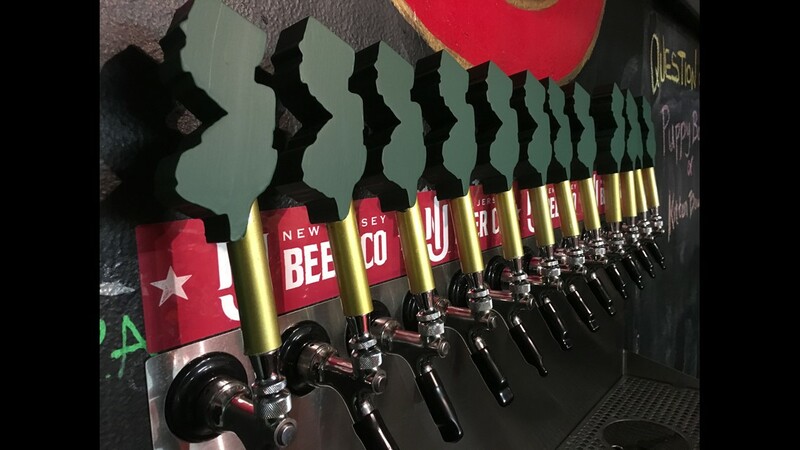 New Jersey Beer Co. offers brews like Garden State Stout and Weehawken Wee Heavy on state-shaped taps. The North Bergen tasting room is open Wednesday to Sunday with free tours available. 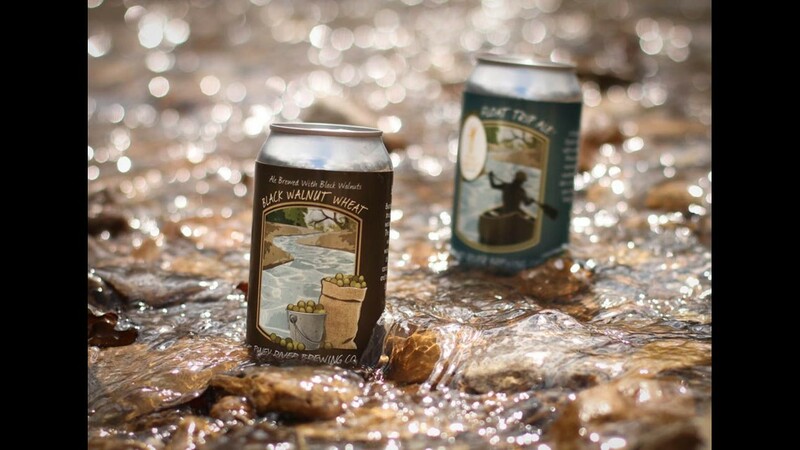 New Mexico's Bosque Brewing Company uses the Spanish word for a group of trees by a river such as the Rio Grande in Albuquerque. 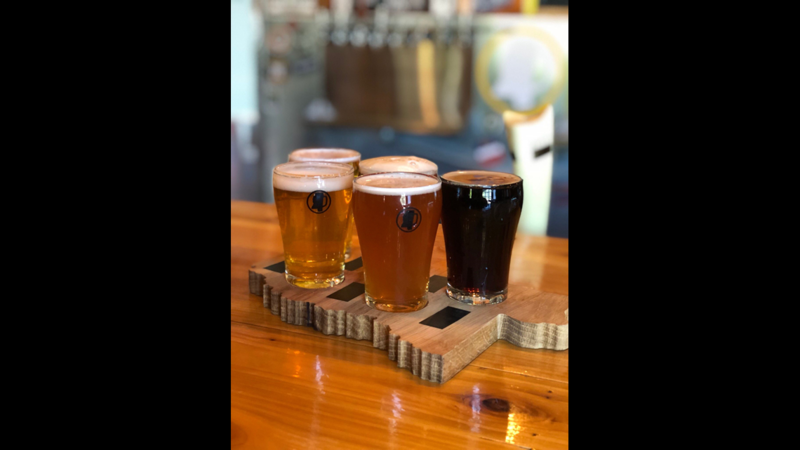 Bosque's brews are on tap all around the state, and you can visit the San Mateo brewery, Las Cruces beer bar and public house, or the Nob Hill public house. 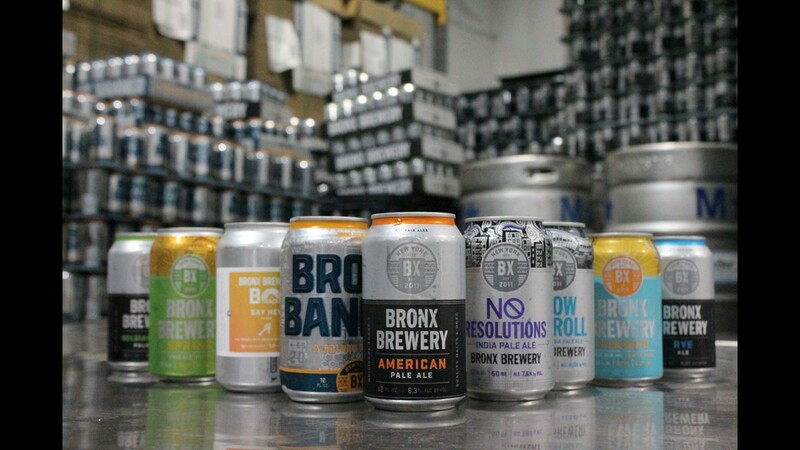 New York's Bronx Brewery collaborates with local artists on its can labels. The Bronx taproom is open daily and the brewery offers tours on Saturdays and Sundays. 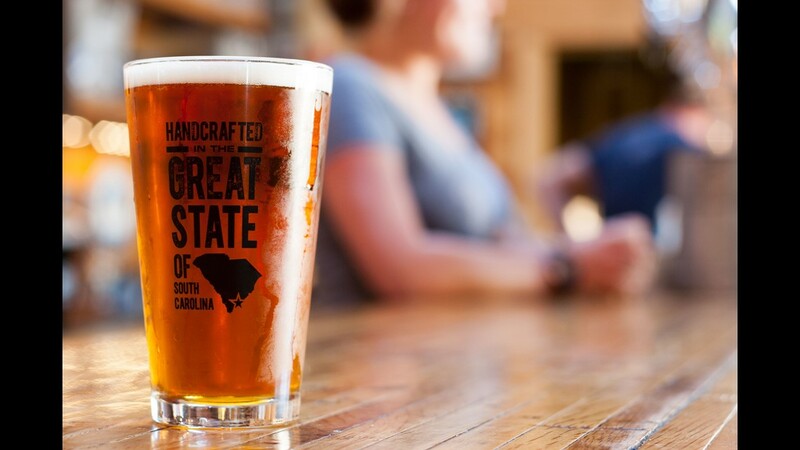 Crystal Coast Brewing Company uses North Carolina-grown rye for its lagers and pilsners. 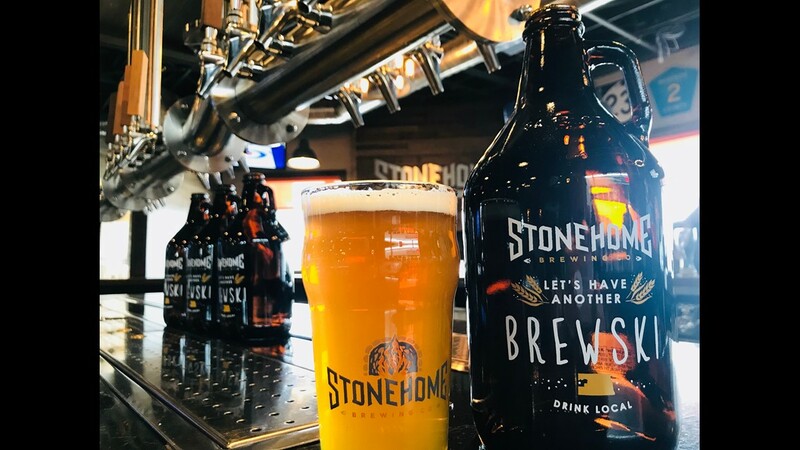 Order a state-shaped tasting flight at Crystal Coast's taprooms in Atlantic Beach and Morehead City, N.C.
Stonehome Brewing Co. uses barley grown and malted in North Dakota and works with local farmers to increase local hop growing. Try Dacotah Wheat or Juneberry Jam fruit ale made with North Dakota Wild Northern Prairie Berries at the Watford City brewery, open daily. 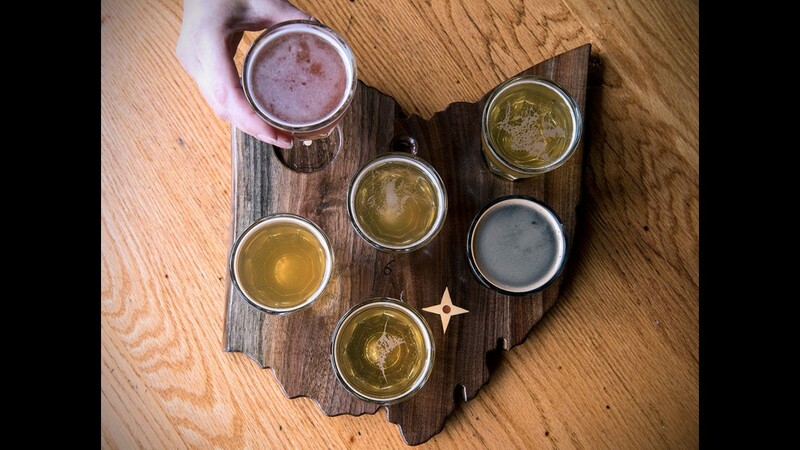 Ohio's Jackie O's Brewery has its own farm and uses local ingredients like wildflower honey and spruce tips. Visit the taproom (open daily), brewpub (Tuesday-Thursday) or Public House (open daily) in Athens. Oklahoma's Anthem Brewing Company offers beers like the OK Pils on a state-shaped tasting flight in Oklahoma City daily. 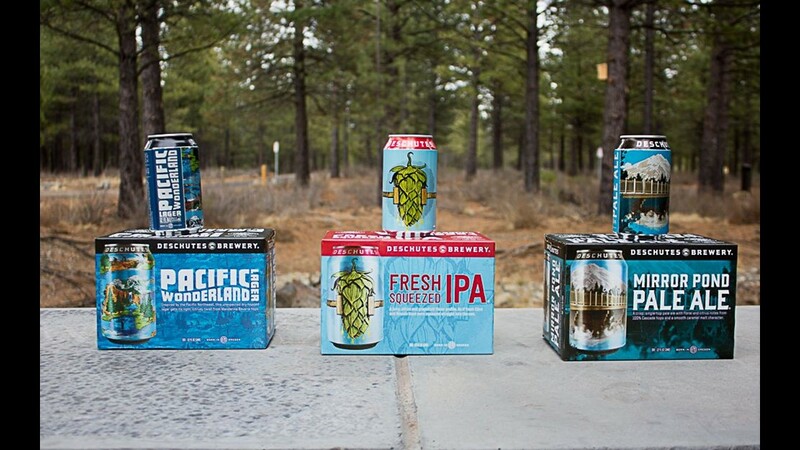 Oregon's Deschutes Brewery makes place-themed beers like Mirror Pond Ale with 100% Cascade hops and PNW-inspired Pacific Wonderland Lager. Deschutes has a pub, tasting room and daily brewery tours in Bend, Ore., and a pub in Portland, Ore. 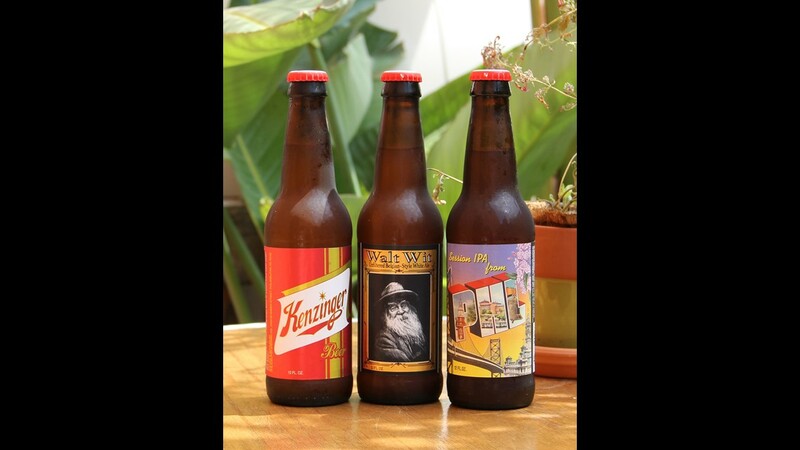 Try Philadelphia Brewing Company's Kenzinger, Walt Wit Belgian-Style White Ale and PHL Session IPA at its Peacock Room Bar & Garden, Tuesday to Sunday. 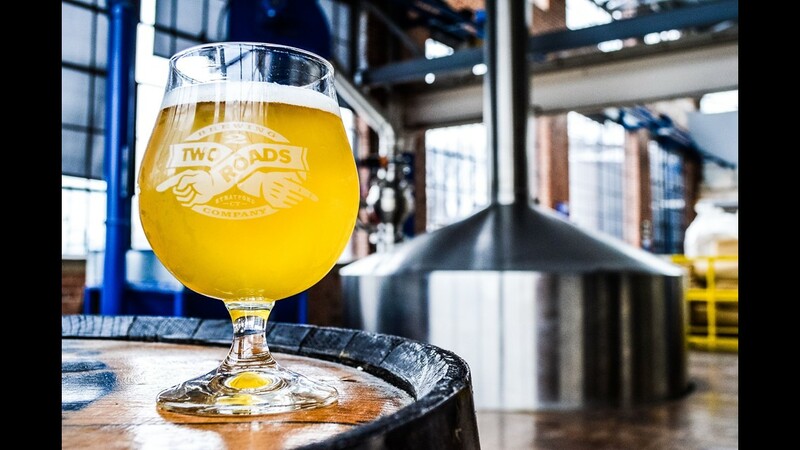 The Pennsylvania brewery offers tours and tastings on Saturdays. 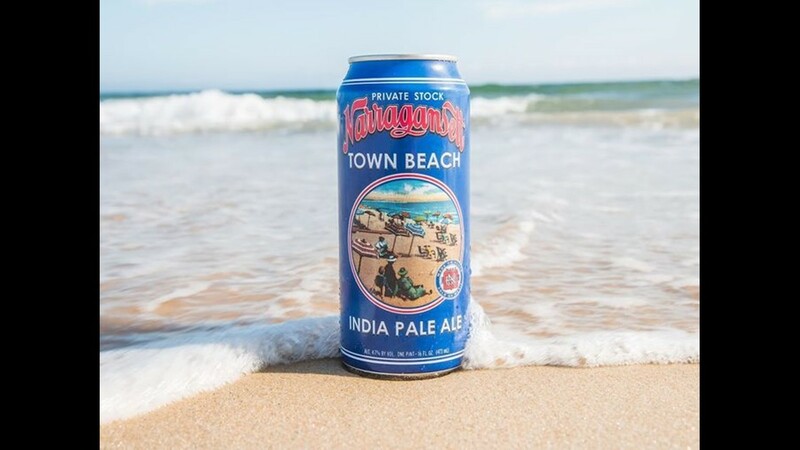 Established in 1890, Narragansett Beer is classic Rhode Island, and its Town Beach Day Pass IPA is named after Narragansett's summer destination. Narragansett's made at brewery co-op The Guild in Pawtucket, R.I. The tap room is open Thursday to Sunday with tours available on Sundays. South Carolina's oldest post-Prohibition brewery, Palmetto Brewing Company hosts a tap room, open Tuesday to Saturday, plus an outdoor beer garden and calendar of concerts in Charleston. 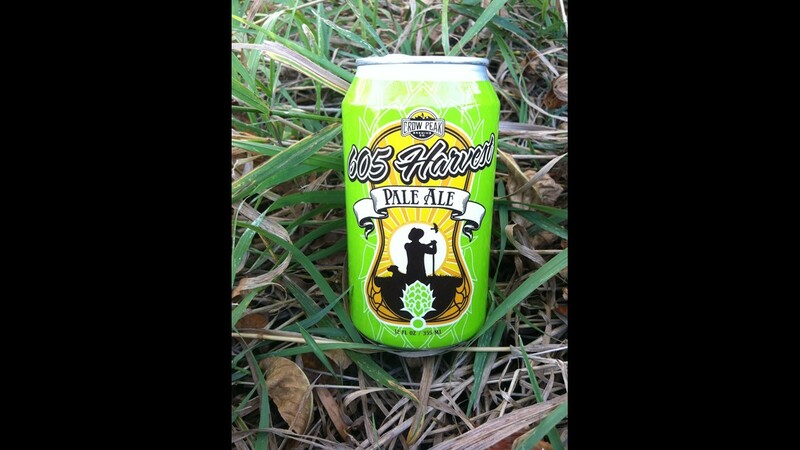 Crow Peak Brewing Company makes its 605 Harvest Pale Ale with Nugget and Chinook hops from Anderson Hops Farm in Sioux Falls. Crow Peak's taproom is open daily in Spearfish, S.D. 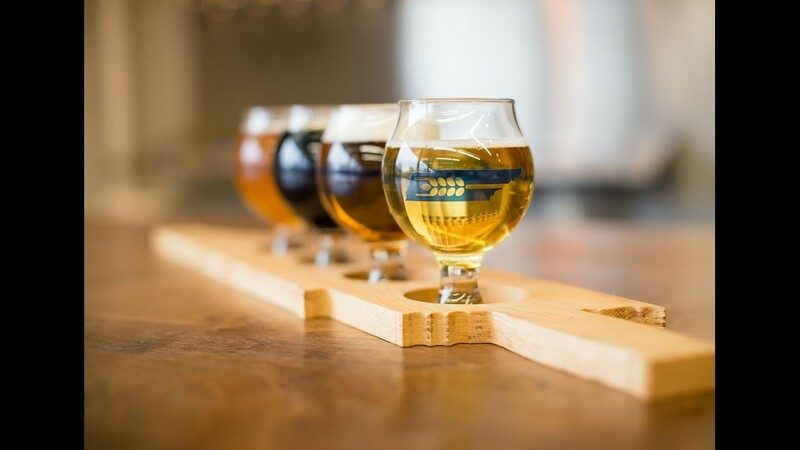 Tennessee's Southern Grist Brewing Co. hosts taprooms in East Nashville and Nashville's Nations neighborhood (both closed Mondays). 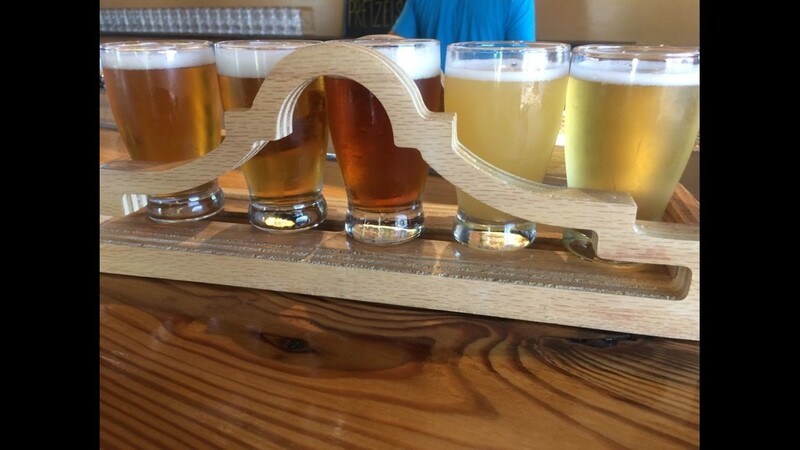 Texas' Alamo Beer Company serves tasting flights shaped like San Antonio's The Alamo. Less than a mile from Alamo Plaza, the beer hall and garden are open Thursday to Sunday with tours offered on Thursdays. 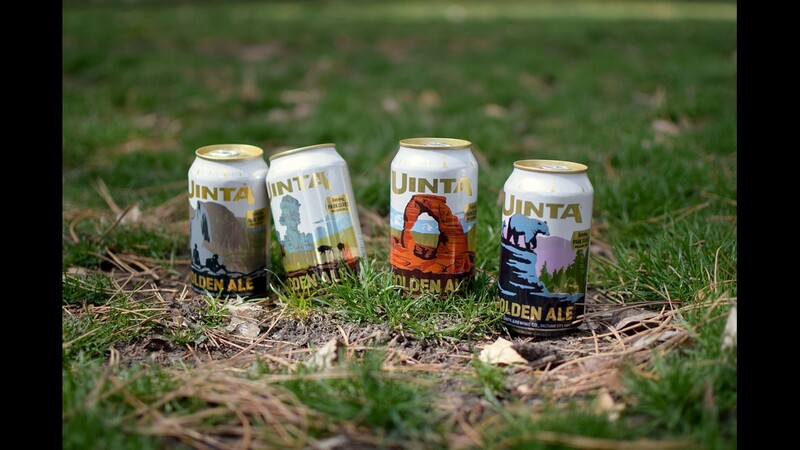 Utah's Uinta Brewing pays homage to America's public lands with its Golden Ale Park Series. 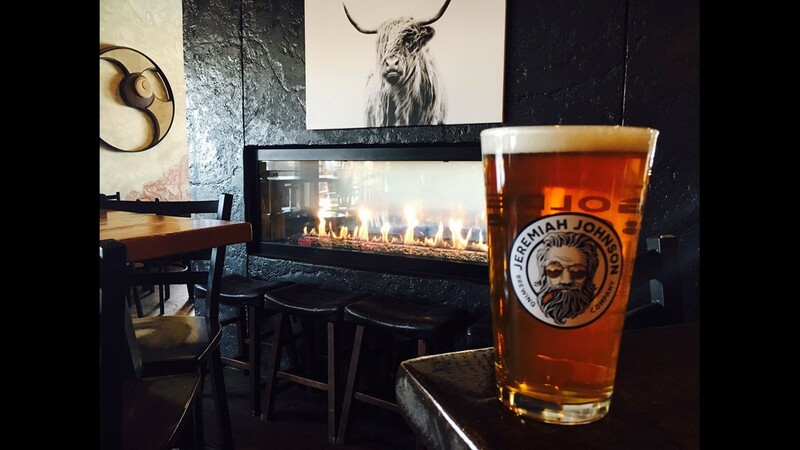 The Salt Lake City Brewhouse Pub is open Monday to Saturday, with a General Store open on weekdays. 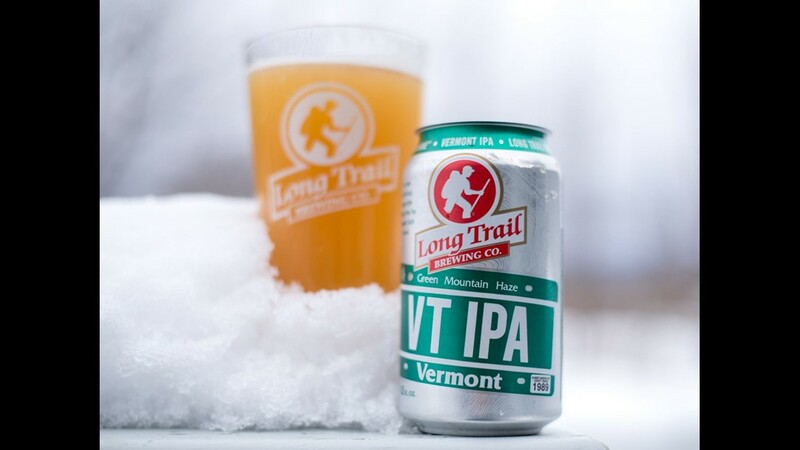 Vermont's Long Trail Brewing Co. makes VT IPA in the Juicy or Hazy IPA style recently recognized by the Brewers Association. The brewery's Bridgewater Corners pub and restaurant is open daily. 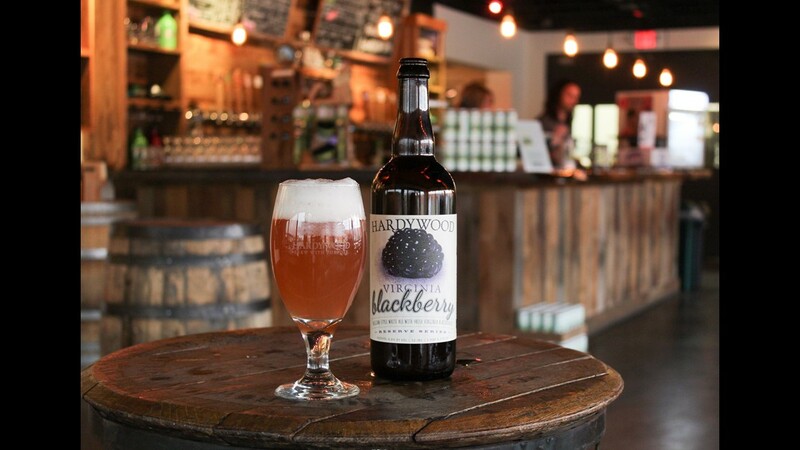 Hardywood Park Craft Brewery features local ingredients in its seasonal Virginia Roots series. In summer, Virginia Blackberry is made with local Agriberry blackberries. Hardywood hosts breweries and taprooms in Charlottesville, Richmond and West Creek (all closed Mondays). 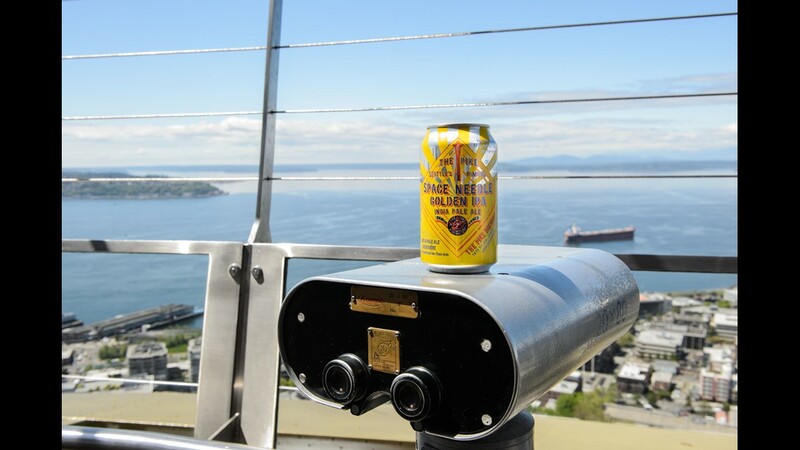 The Pike Brewing Company makes Space Needle Golden IPA with four varieties of aroma hops from Washington's Yakima Valley. Pike Brewing's Seattle pub and restaurant are open daily with guided brewery tours available Tuesday to Saturday. West Virginia's Mountain State Brewing Co. grows its own hops at its brewery and taproom in Thomas, W.V. (open Thursday to Sunday). 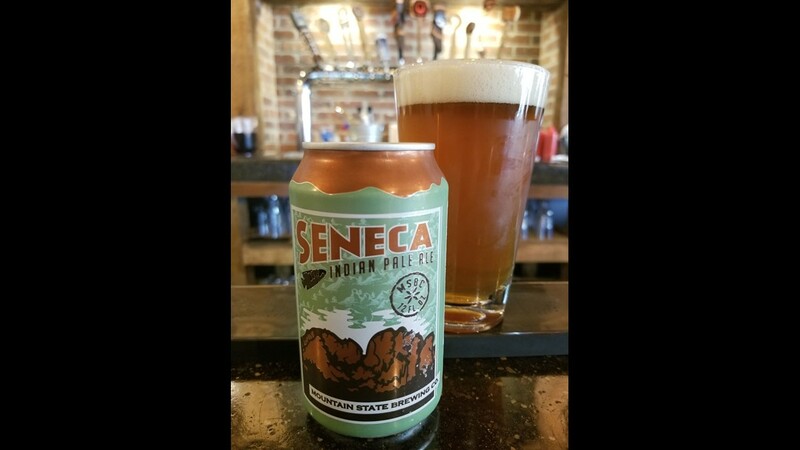 Celebrate the state's outdoors areas with Seneca IPA and Dolly Sods Cranberry Wheat, or local ingredients in Closs' Harvest and Homegrown Wet Hop IPA. 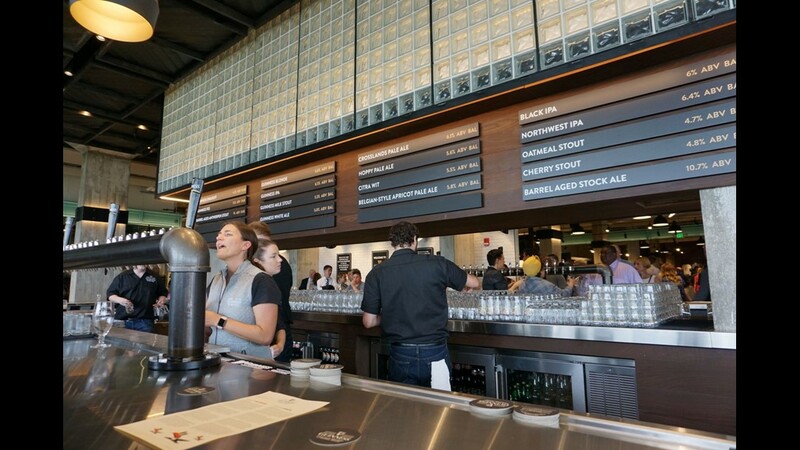 Milwaukee's Uber Tap Room features 36 Wisconsin beers on tap, such as 3 Sheeps Brewing Co., Door County Brewing Co., New Glarus Brewing and Lakefront Brewery. Pair with Wisconsin cheese and fare. Wyoming's Snake River Brewing offers tours on Tuesday and Thursday and a Jackson Hole Brewpub open daily. The brewery partnered with the National Park Foundation on its Jenny Lake Lager to support the Inspiring Journeys campaign for Jenny Lake.